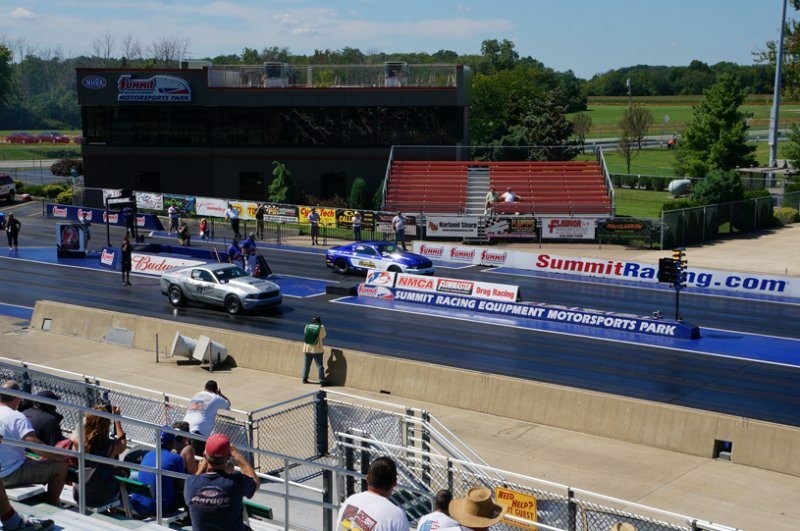 NHRA-UNLEASHED … Special Feature of Cobra Jet Drag Race Showdown- Summit Motorsports Park in Norwalk, OH hosted the next-to-last stop of the 2013 NMCA tour over the weekend of August 23-25, 2013. 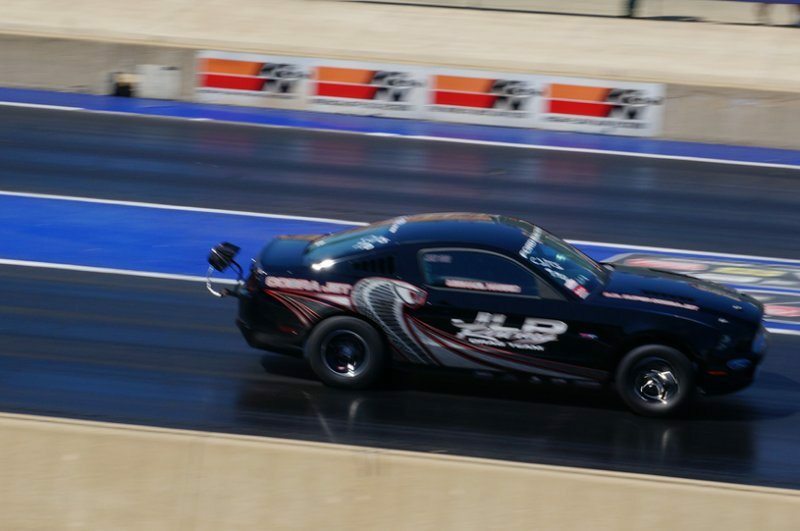 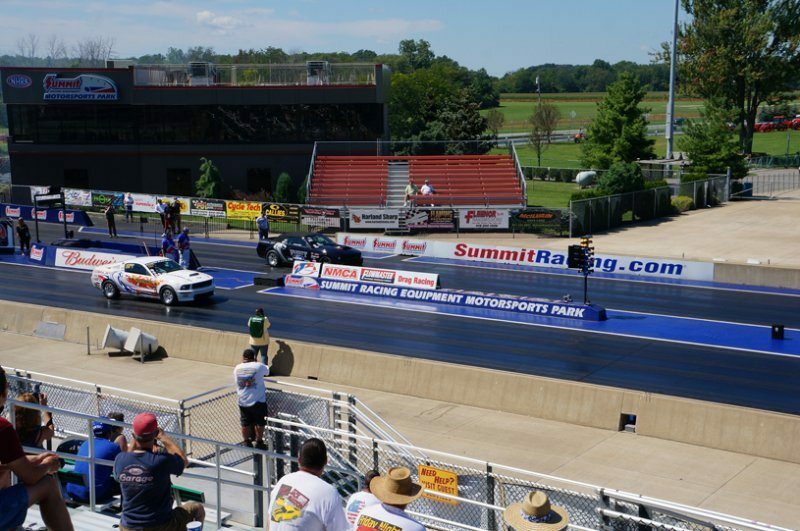 As the home of the 7th Annual NMCA Muscle Car Nationals, featuring the DiabloSport Late-Model HEMI Shootout and Ford Racing Cobra Jet Showdown, Summit Motorsports Park will provide racers and race fans to a weekend of hospitality and a national event-racing surface, which should make the racing tight and exciting! 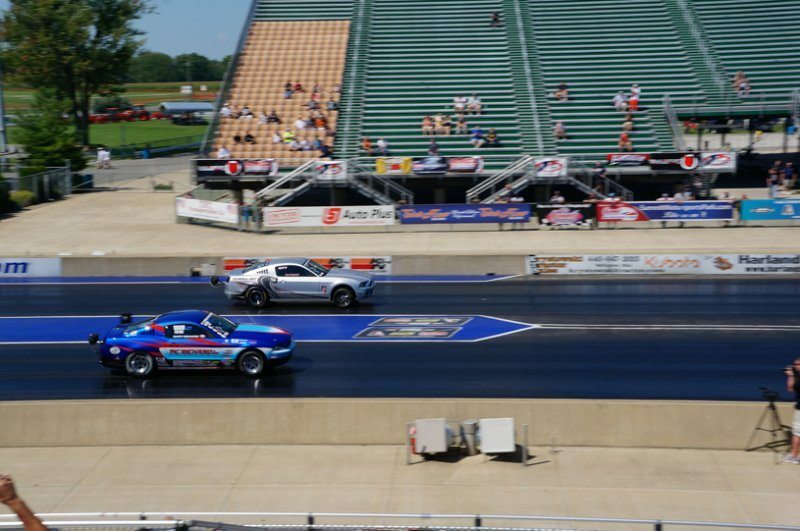 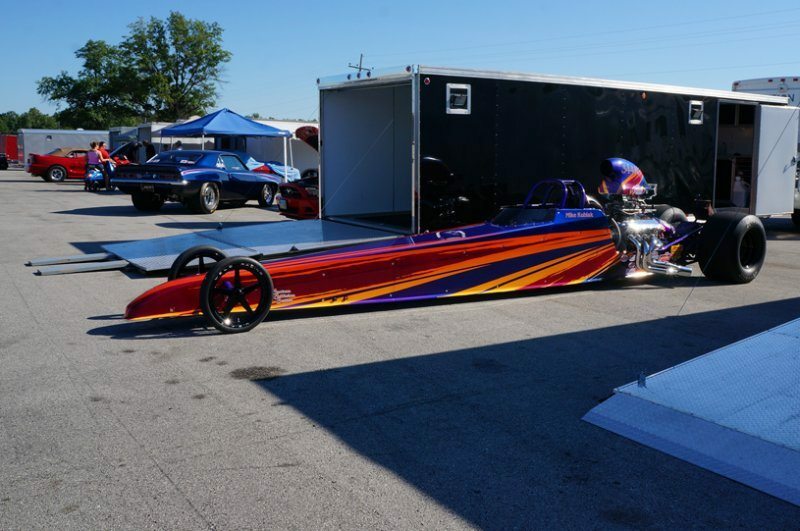 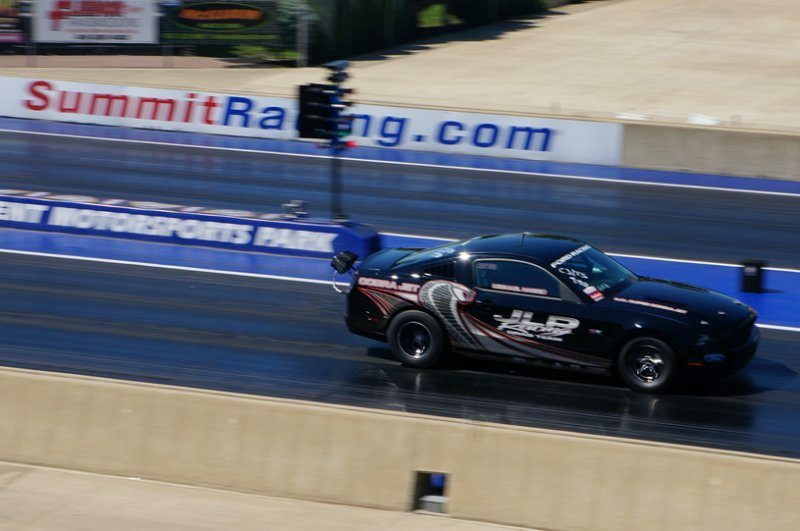 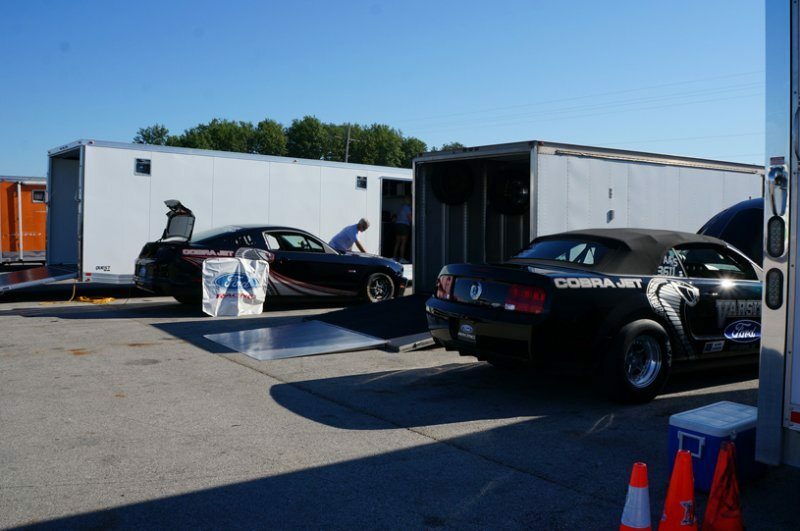 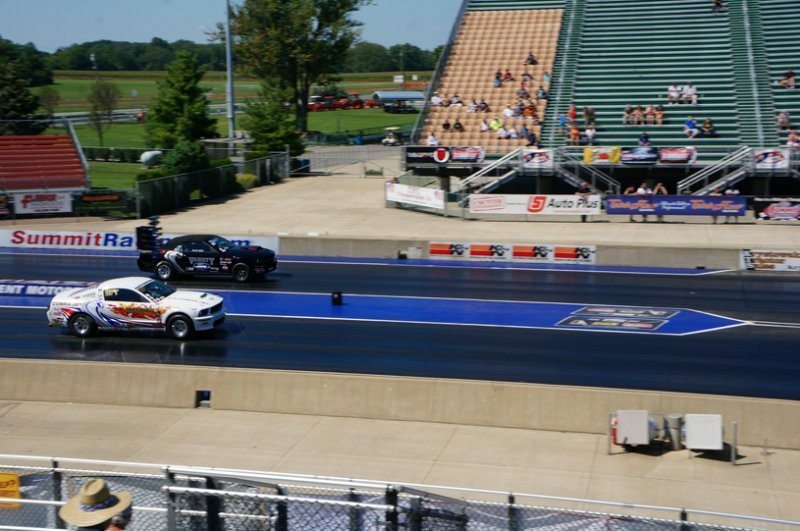 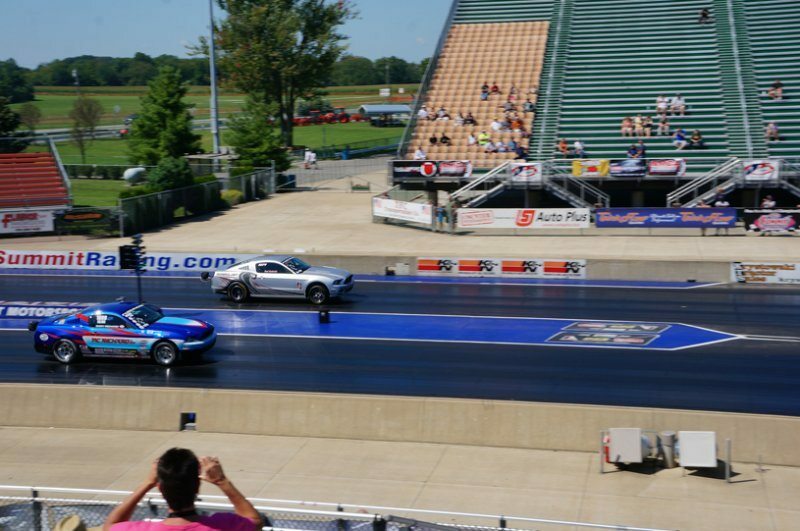 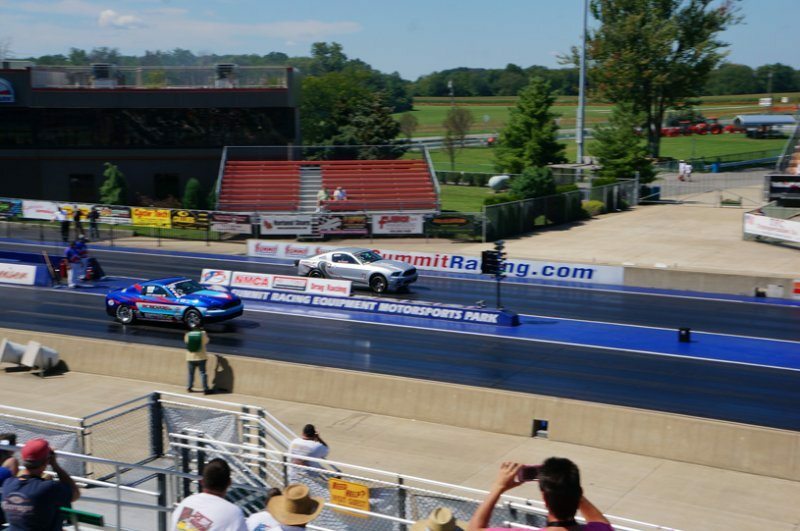 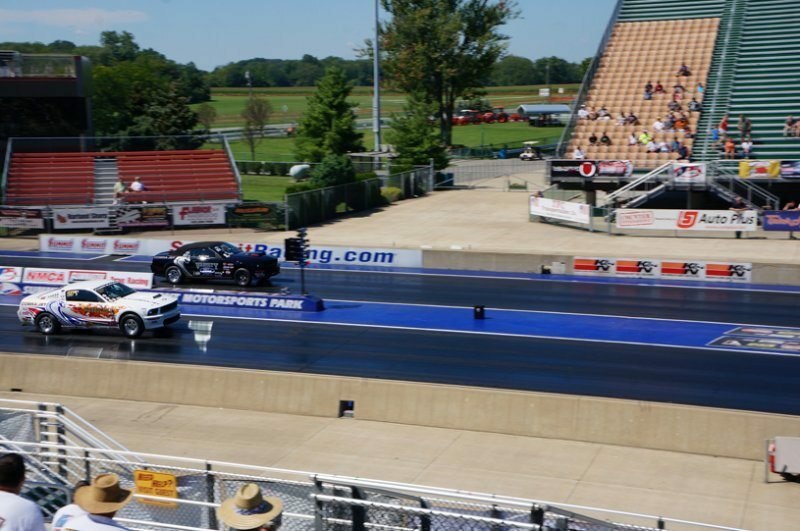 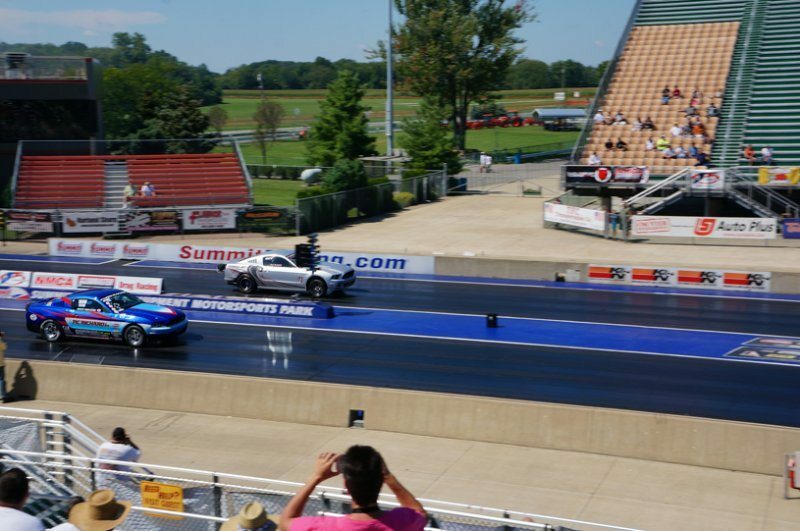 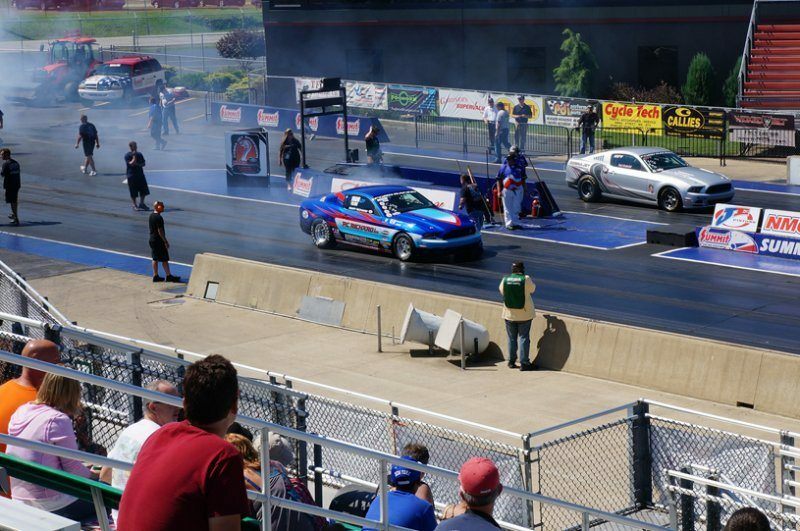 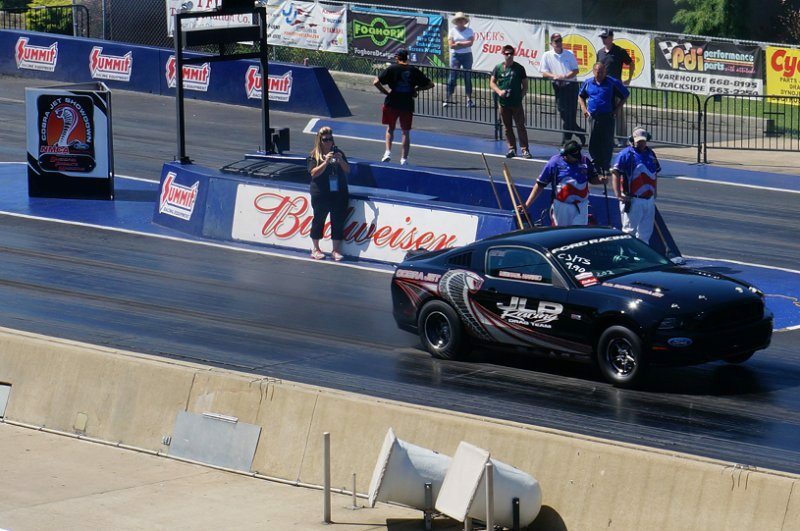 The Cobra Jet Drag Race program is huge, as the nation’s best Cobra Jet racers take to the track for a chance to prove their mettle against each other a week before they head to Indianapolis for NHRA’s biggest race of the year. 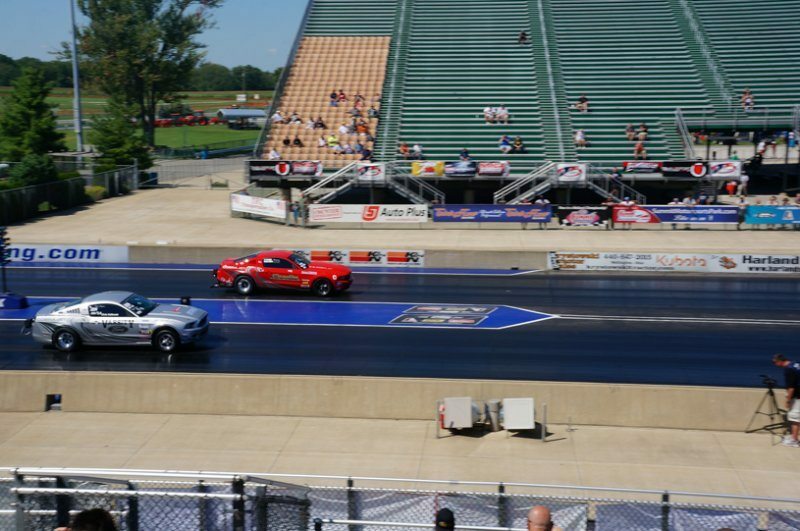 One of the unique things about this event is The Cobra Jet Showdown. 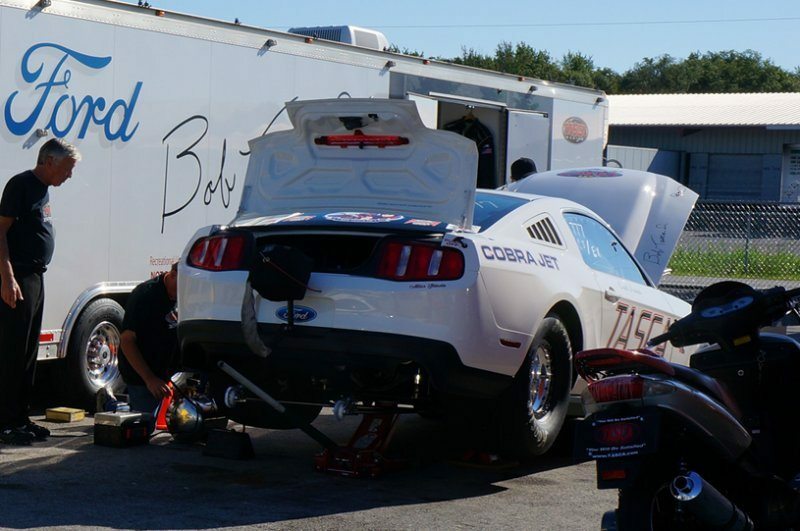 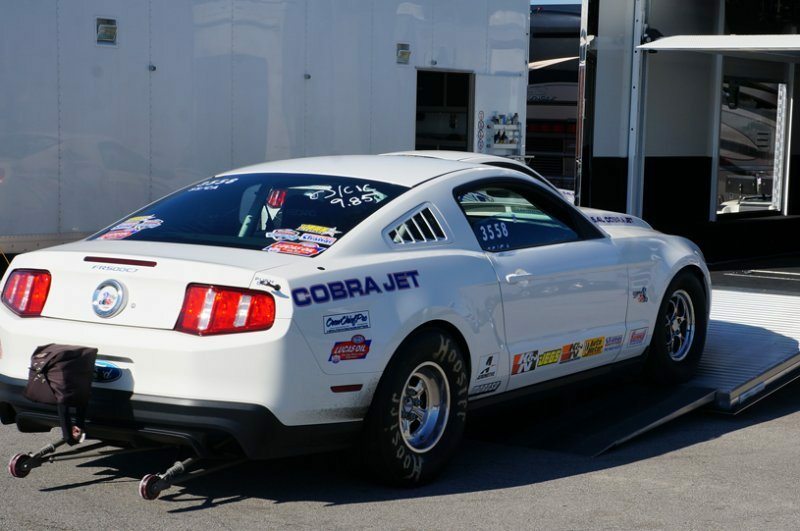 The Cobra Jet program is huge, as Ford Racing’s engineers have spent countless hours testing, modifying, and re-testing the racing program to make sure that it’s 100% reliable for its customers. 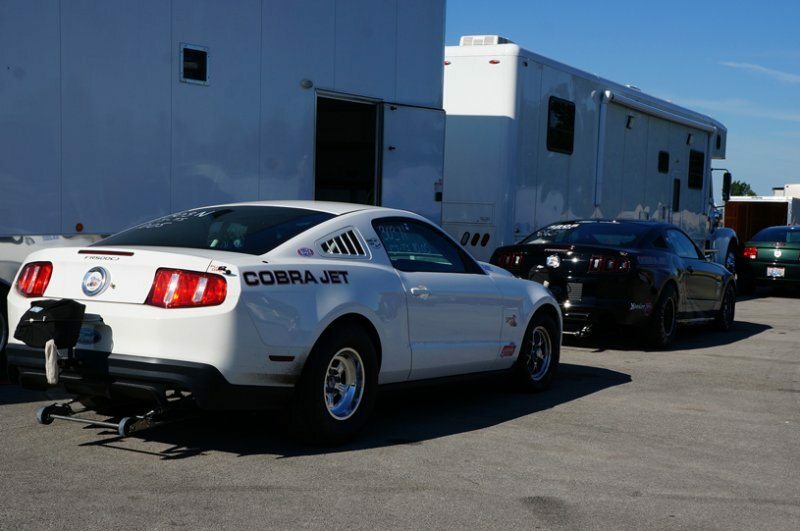 The decision to hold a Cobra Jet race each year was an easy one, and in 2012 featured three classes designed for the new Cobra Jet. 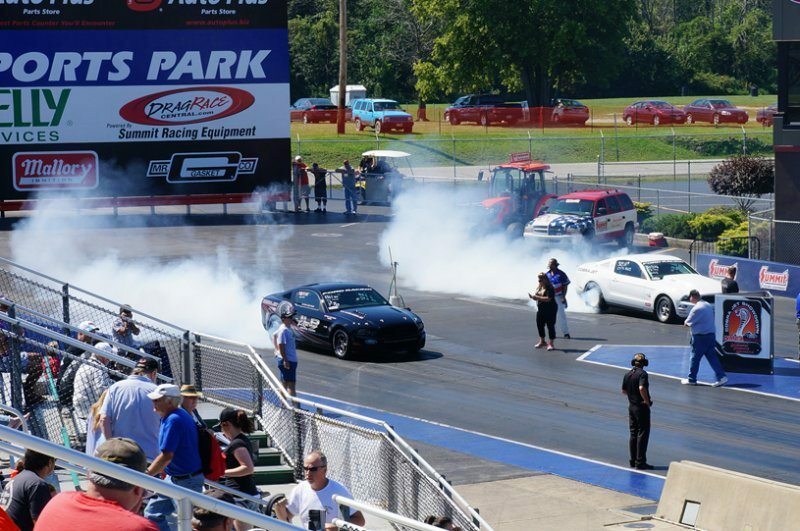 Winners included: Ray Skillman in the 4.0 class, Chris Holbrook in the 2.3 class. 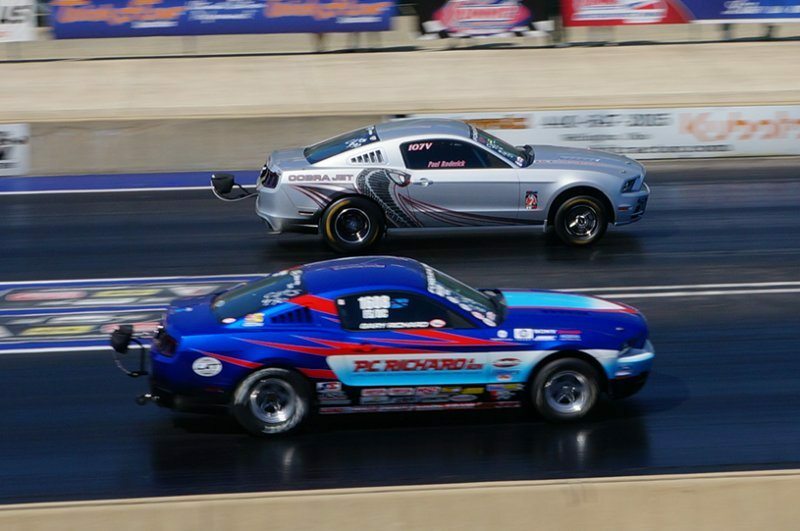 Both Skillman and Holbrook then faced off in the CIC showdown, which was won by Skillman. 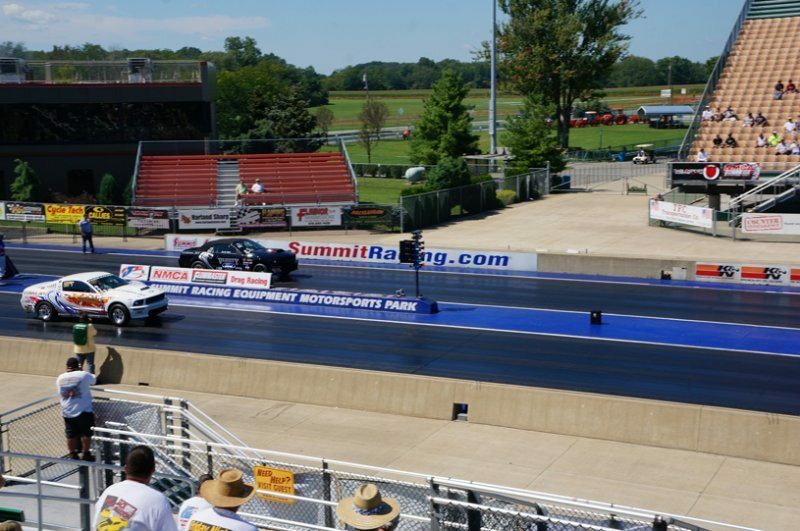 Summit Motorsports Park has one of the best racing surfaces in the country as evidenced by the performances put up each month by the racers in their awesome Heads-Up program, and you can have the opportunity to show off your skills in the driver’s seat on the track alongside the NMCA’s stars in one of the various classes designed to satisfy the entry-level racer. 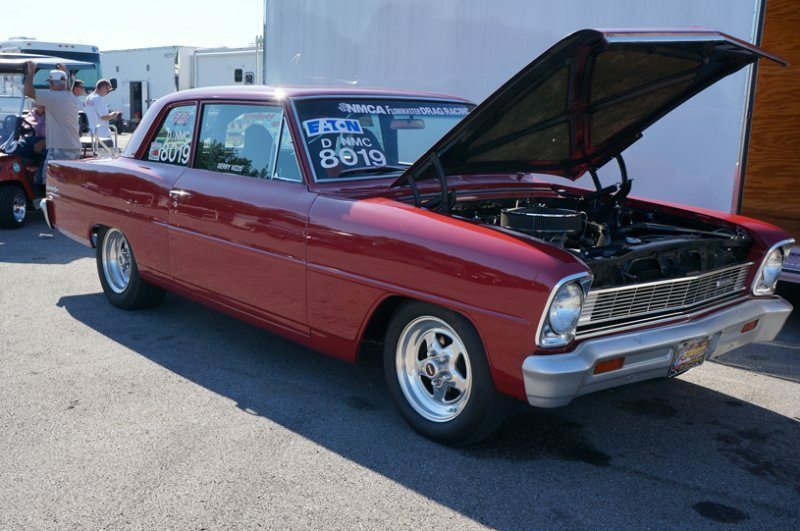 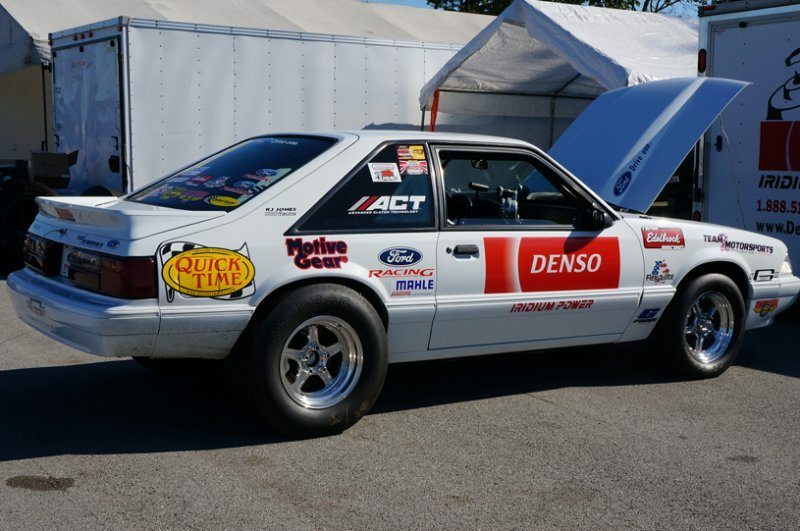 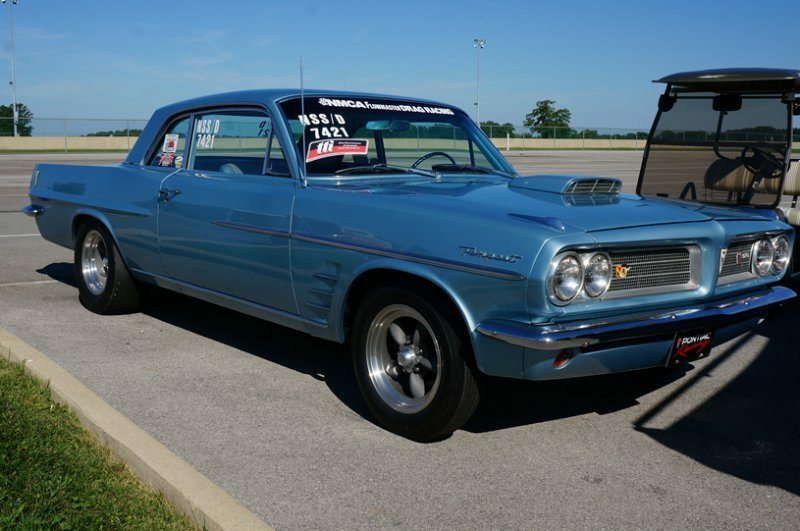 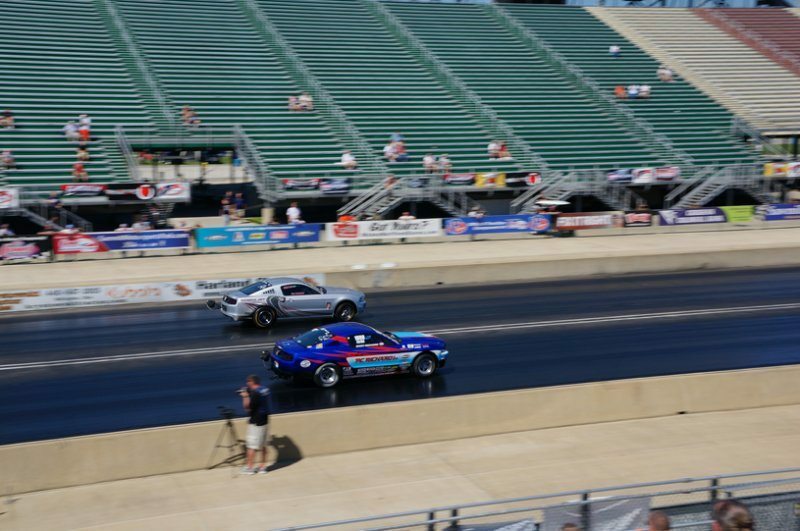 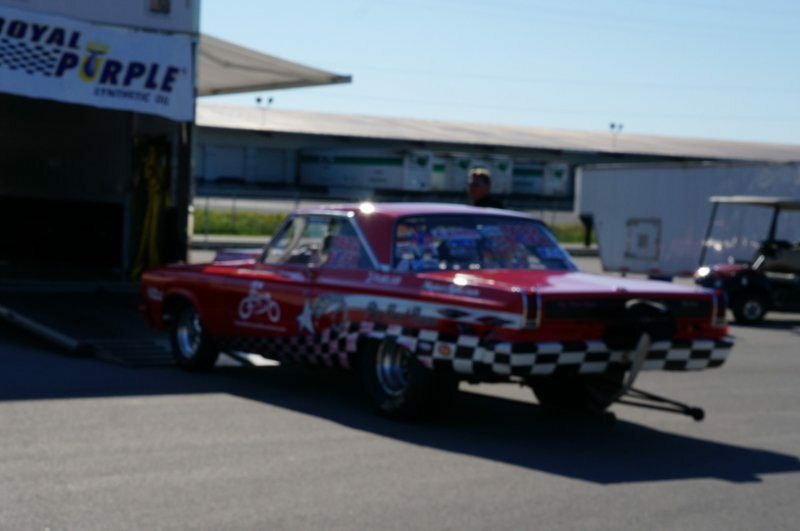 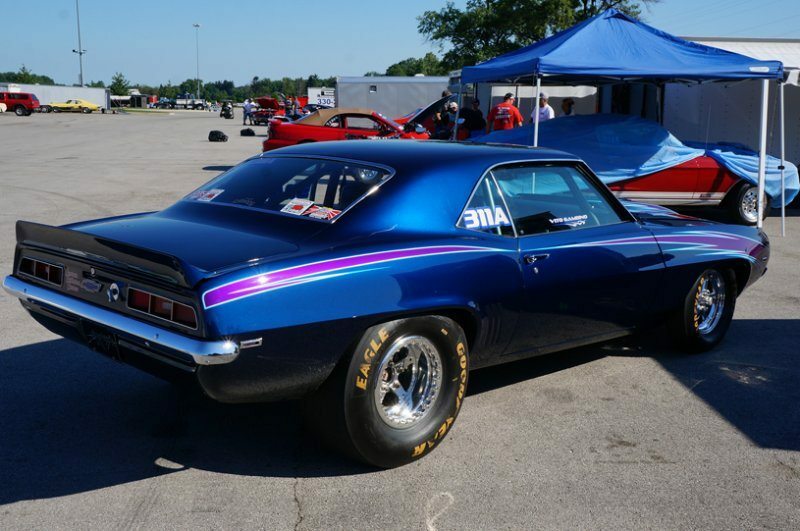 The TREMEC True Street class has always been a racer favorite, with awards given out to the racers closest to each second increment, along with the overall quickest car and the runner-up, after their 30-mile cruise and three dragstrip passes are complete. 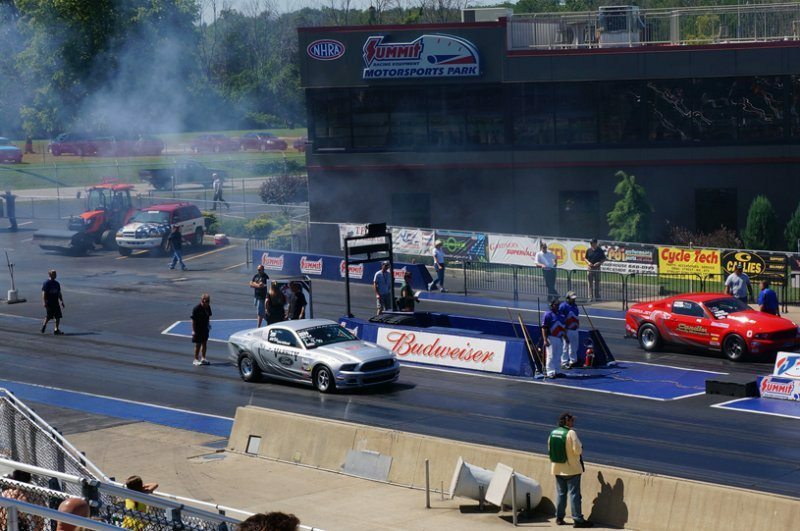 Want to battle it out against some of Detroit’s finest iron? 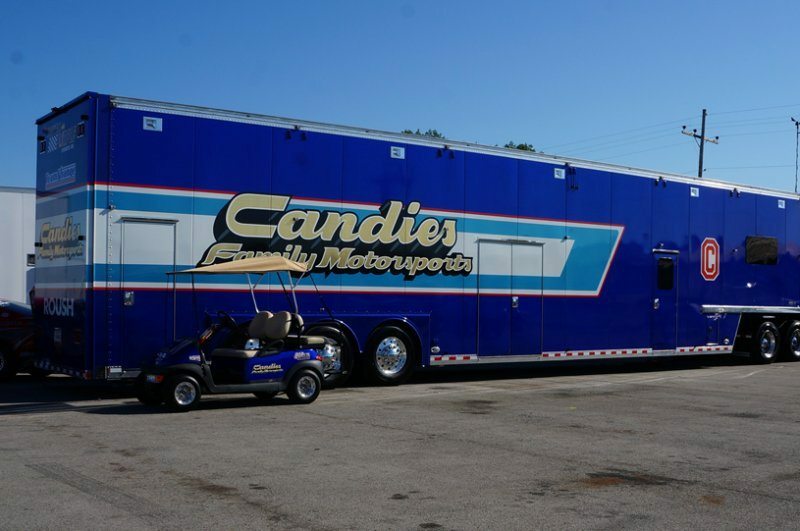 Make your way to Summit Motorsports Park for this event. 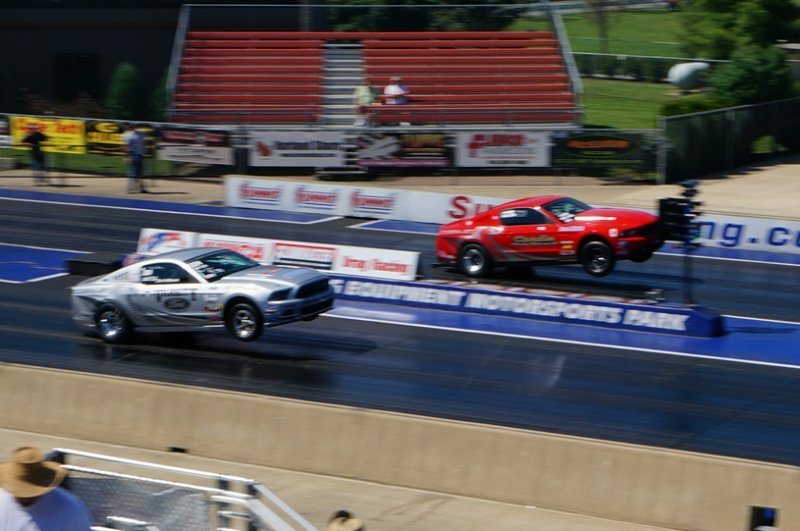 How to Race True Street Click Here! 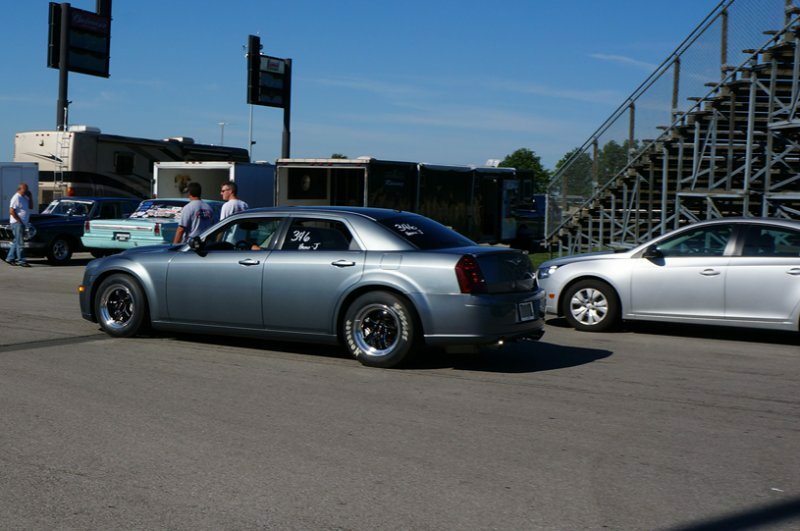 True Street Class Purses & Rules Click Here! 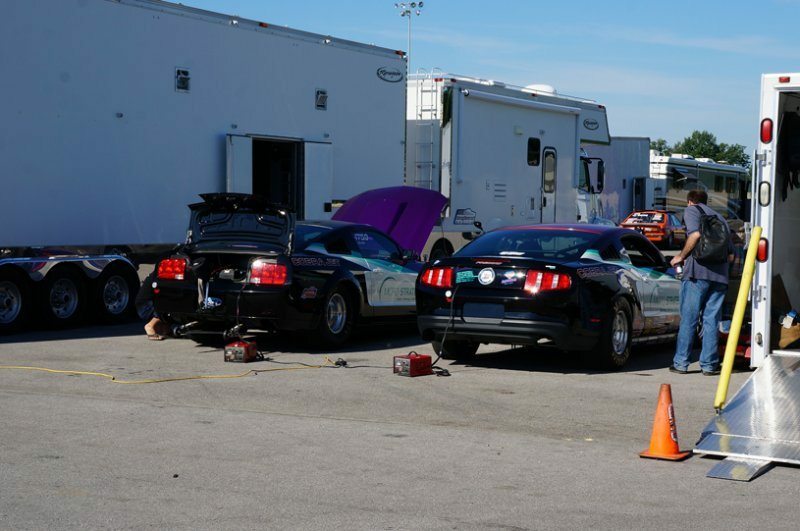 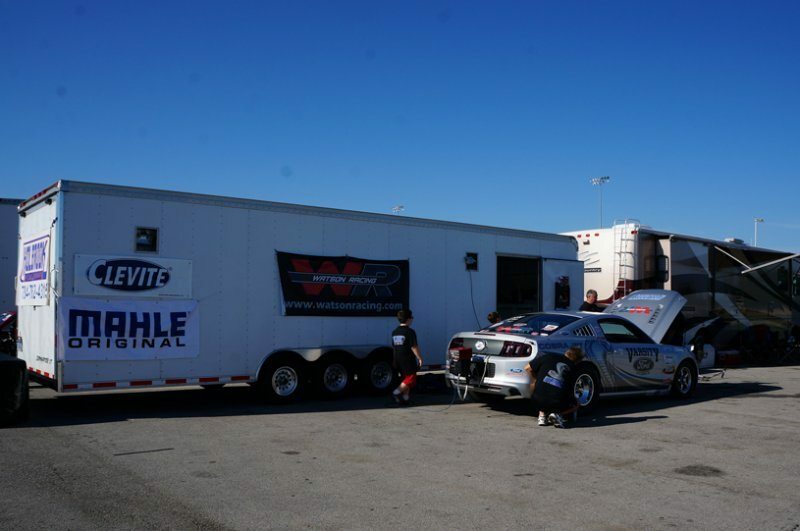 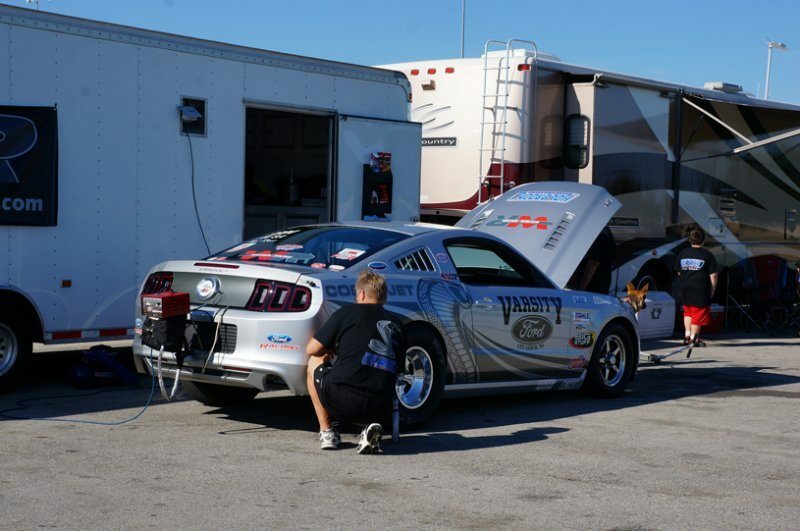 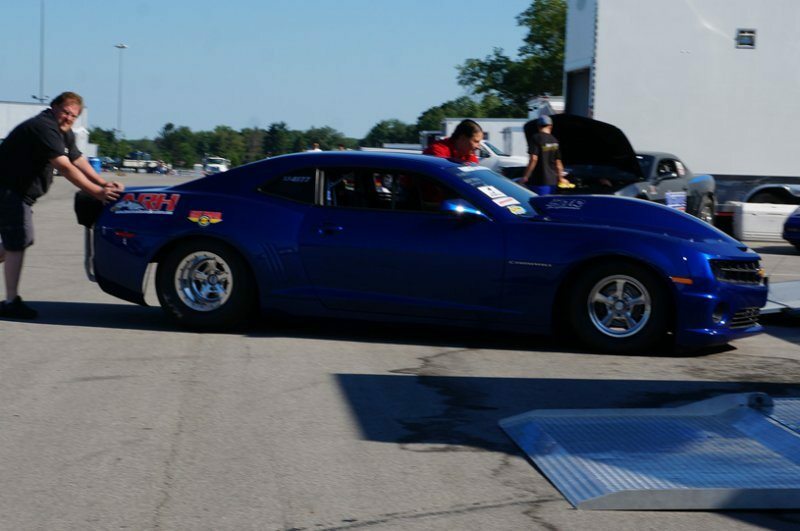 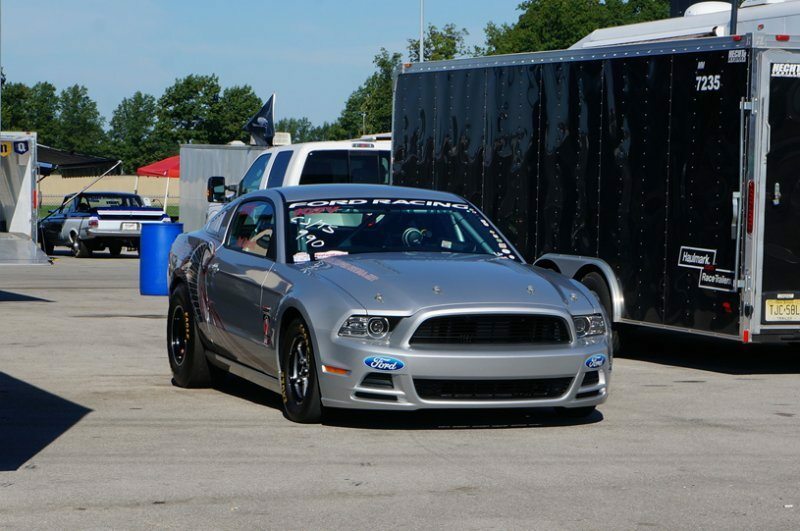 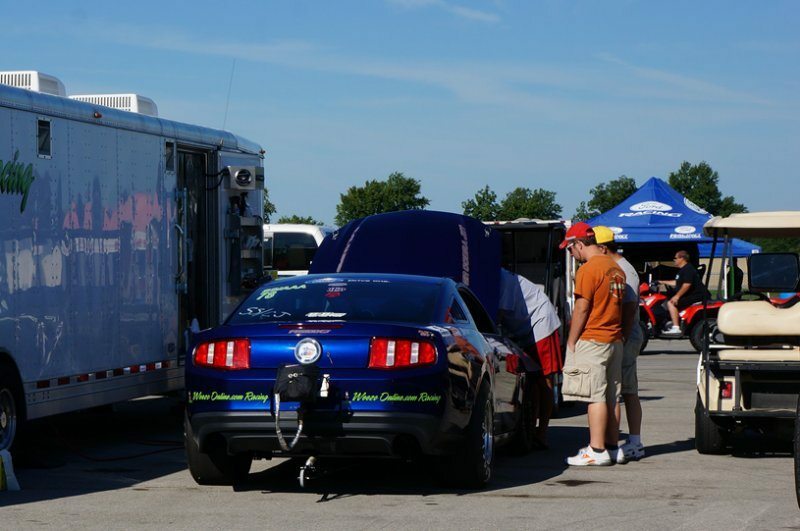 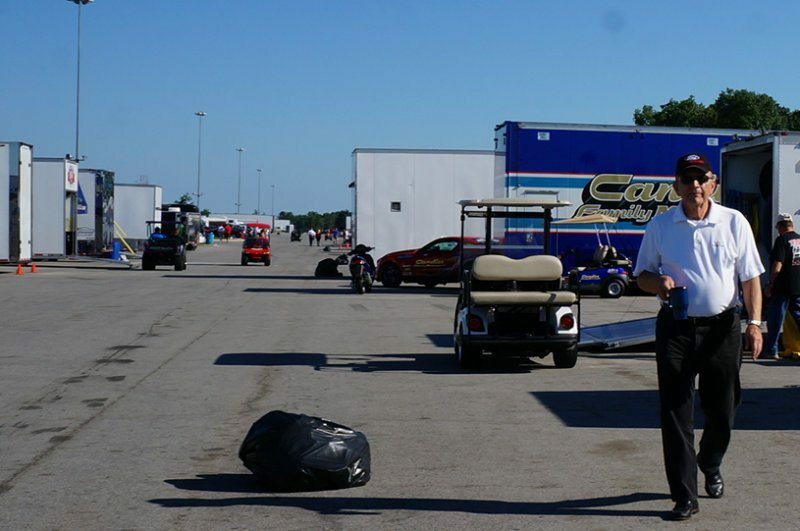 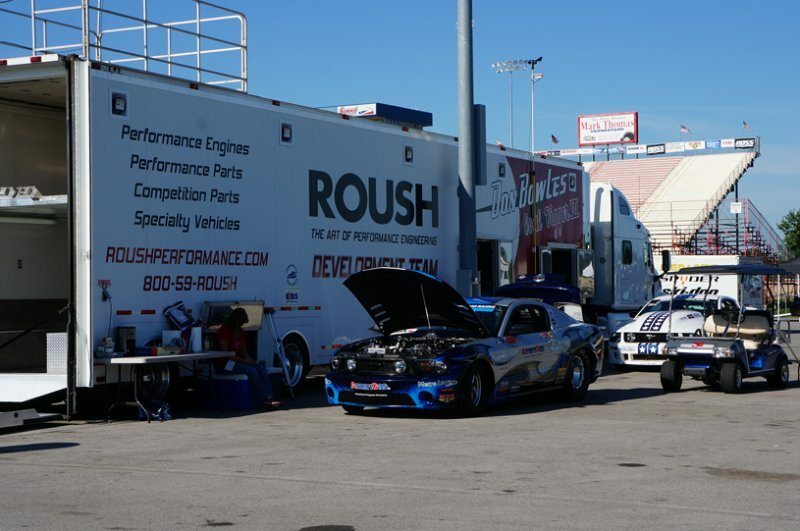 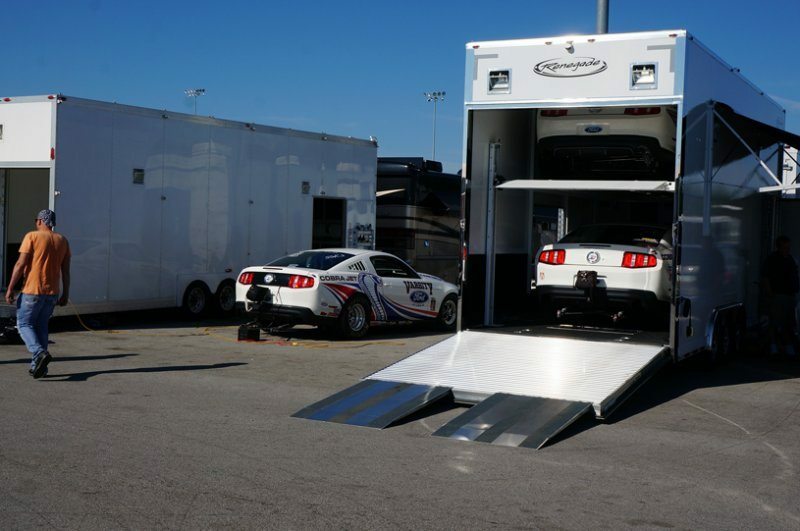 In addition, entry-level racers fit into the Open Comp, Nostalgia Muscle Car, and Late Model EFI classes, so take a look at the class rules and make your plans to come out and race with the best Ford racers in the country. 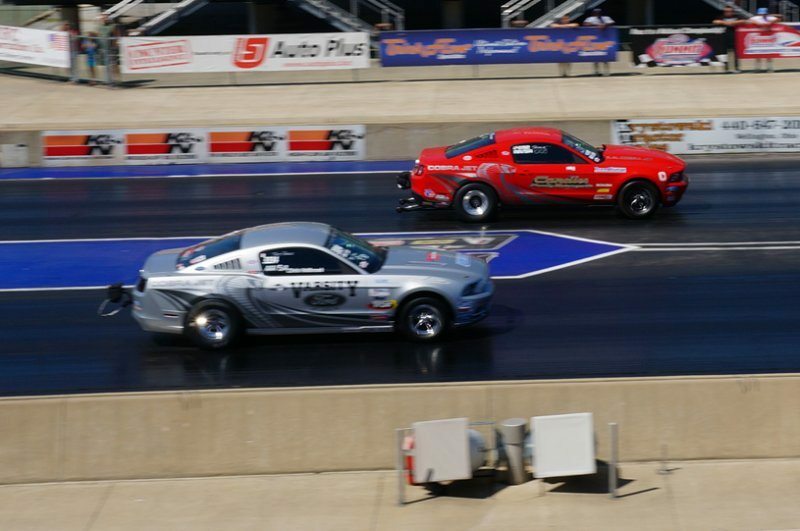 For rules information visit: www.nmcadigital.com/rules, pick a class, make sure your car fits the rules and you have the proper safety gear, and come race with the NMCA! 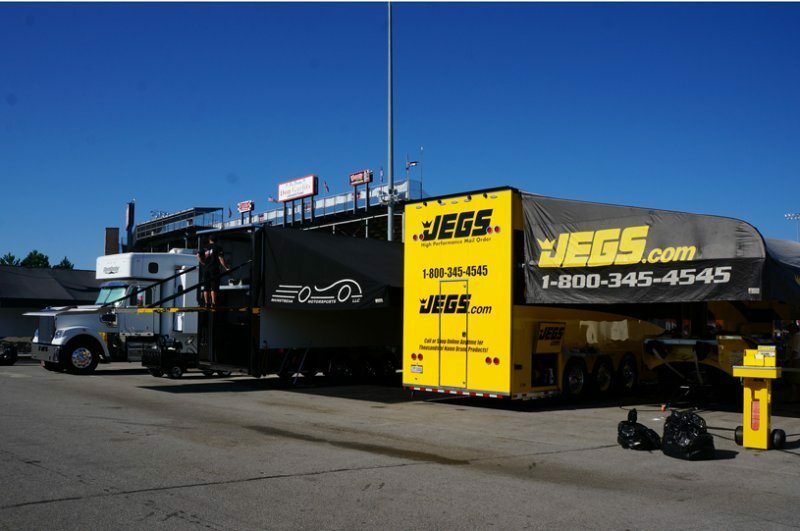 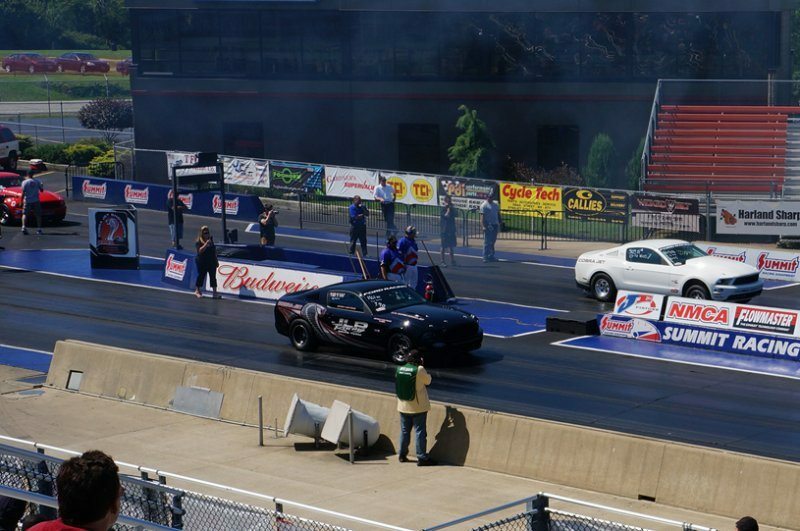 Race for an NHRA Wally! 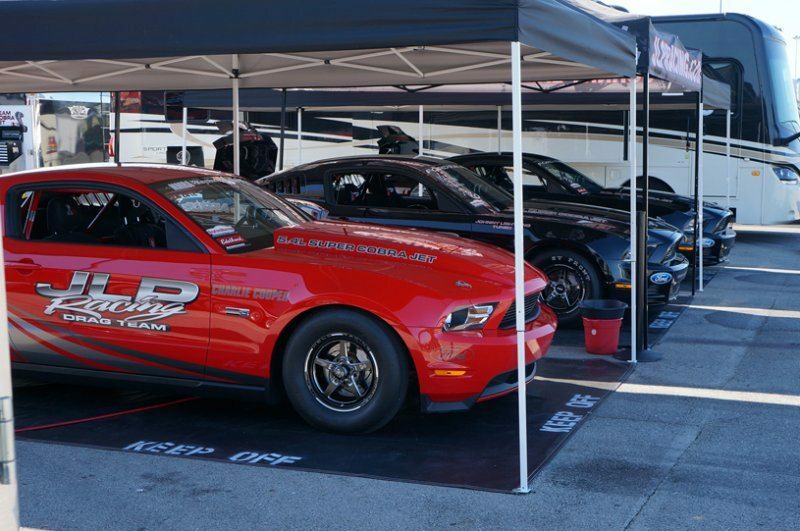 NMCA is proud to present an NHRA Wally to each class winner at this event (points classes only) NMCA and NHRA Unleashed have come together to present the best in street car drag racing and it’s brought to you courtesy of Aerospace Components. 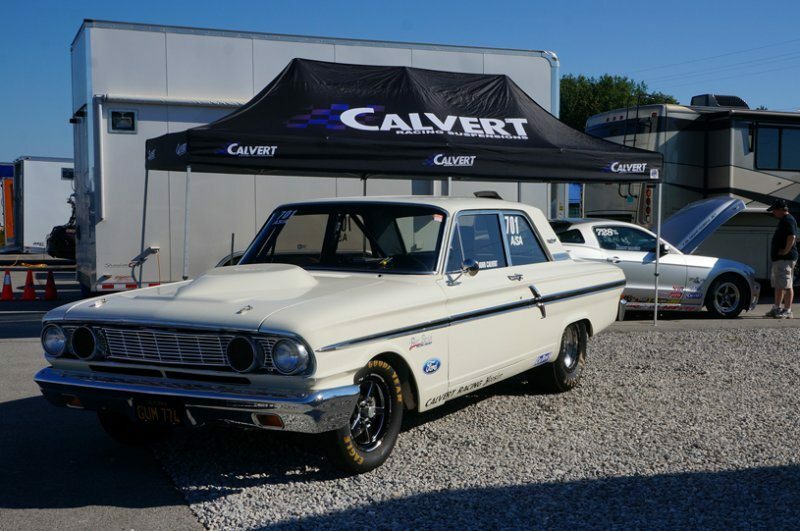 Have you ever wanted to display a Wally on your mantle? 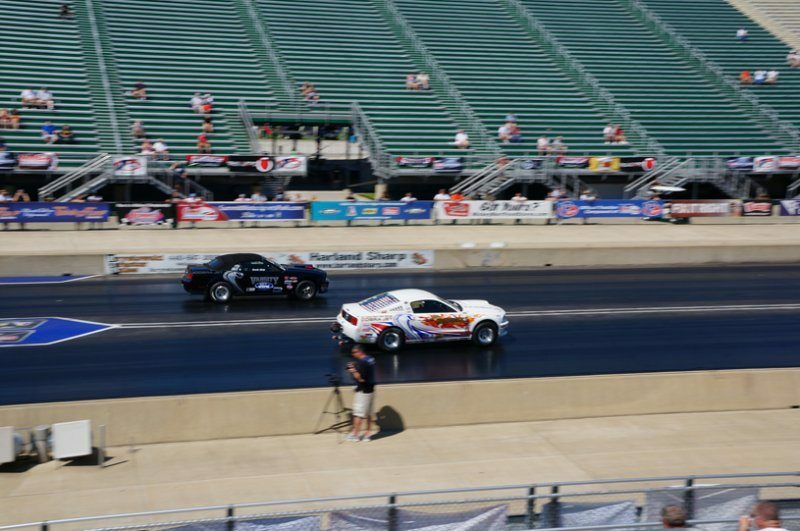 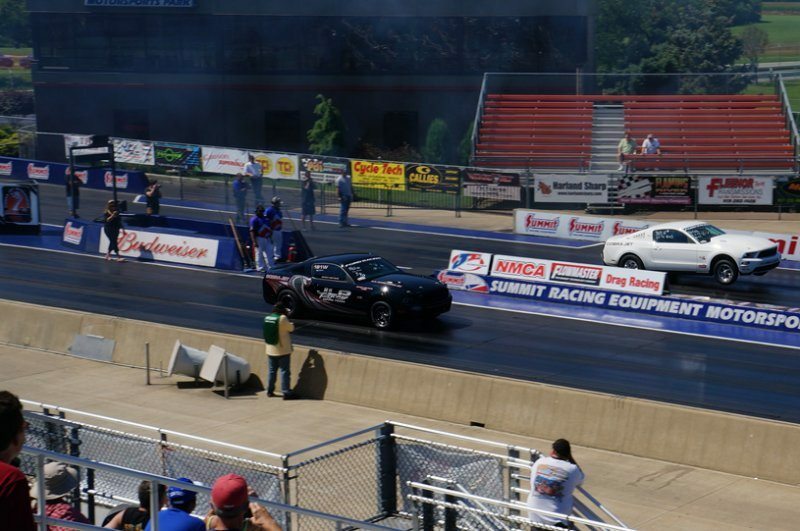 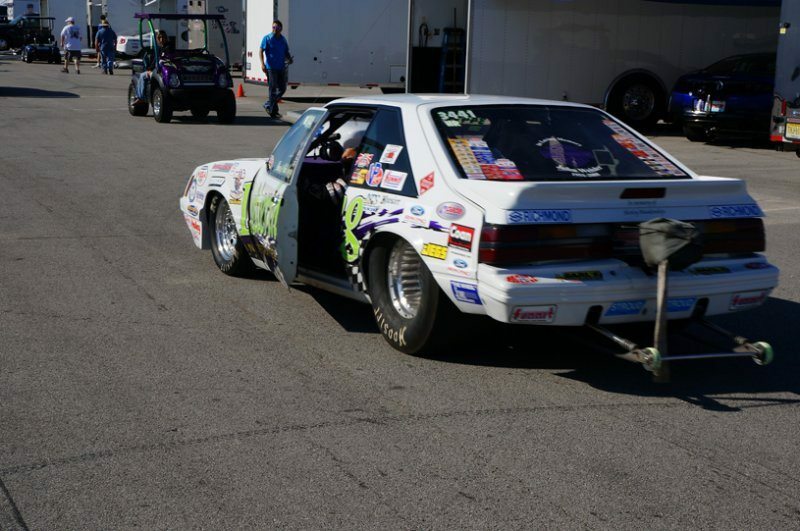 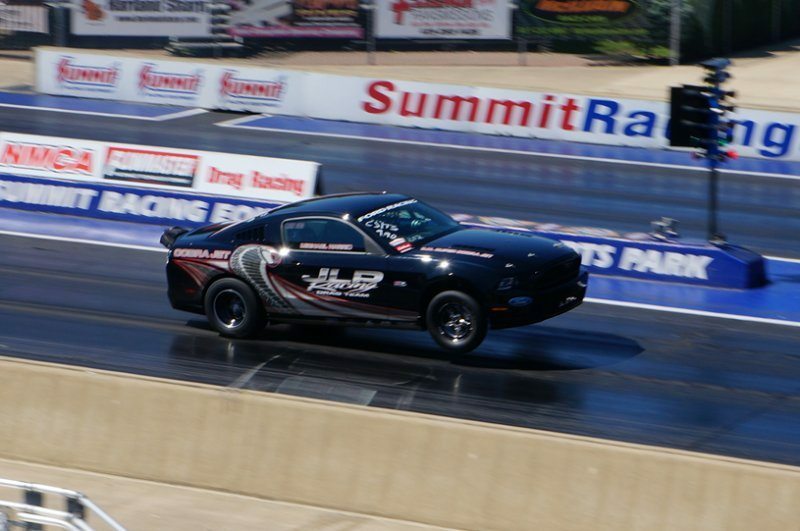 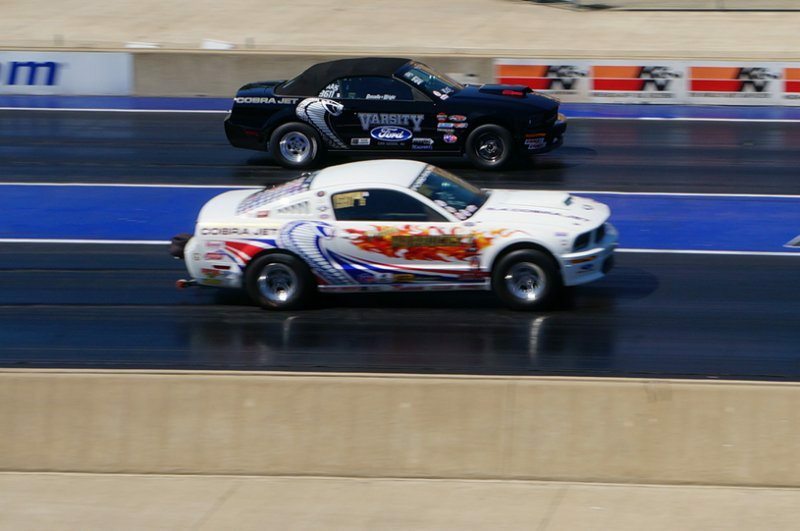 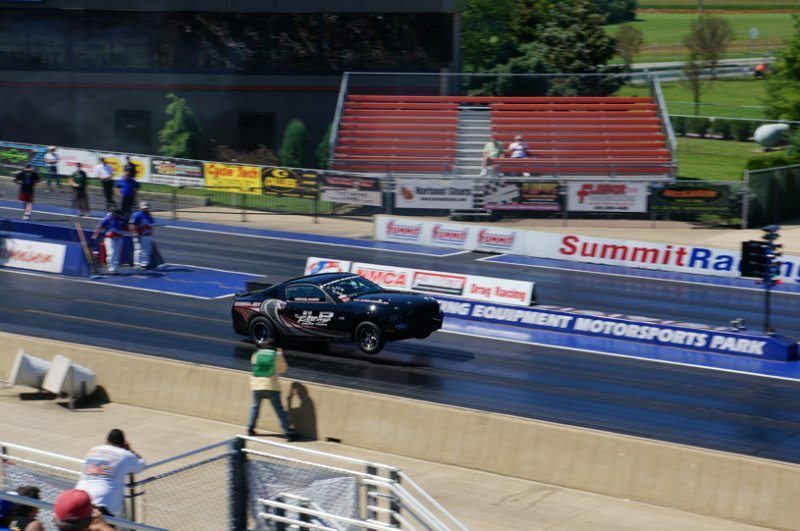 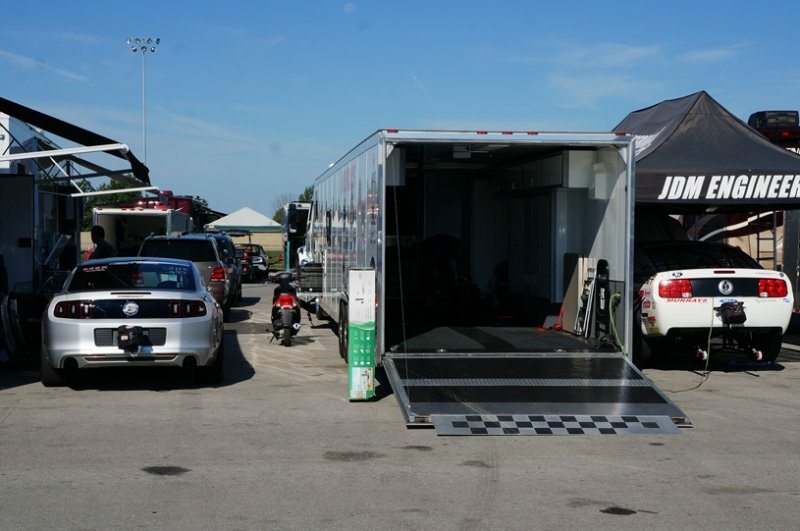 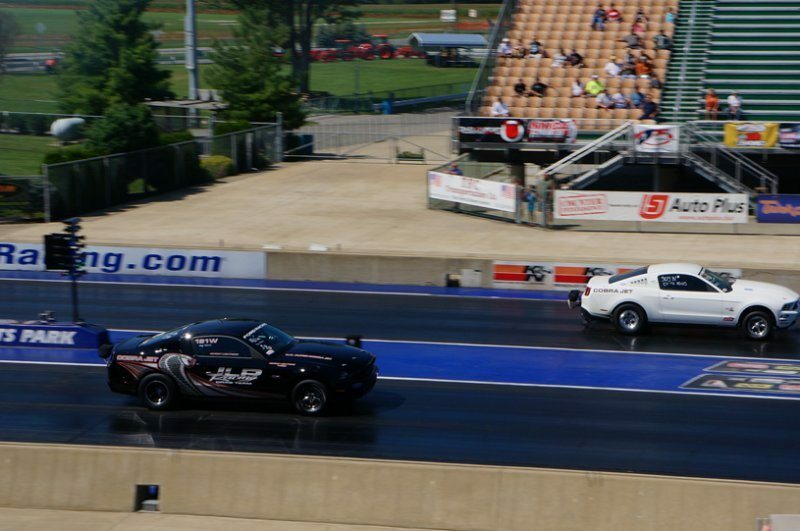 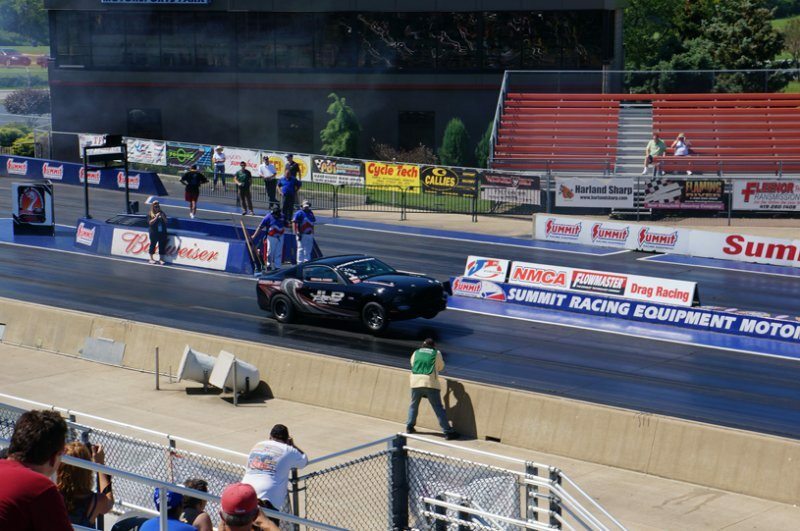 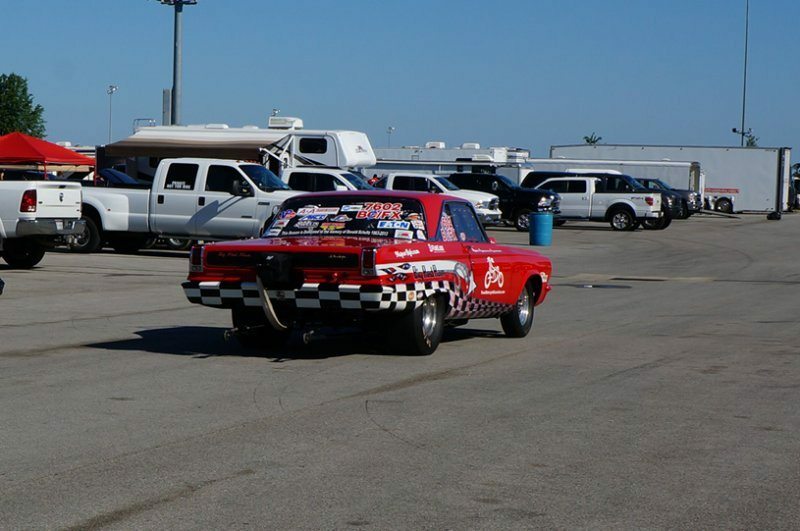 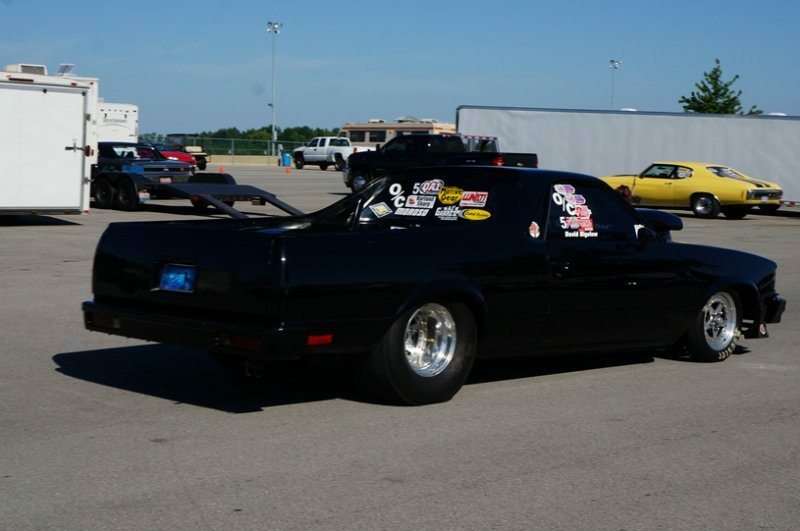 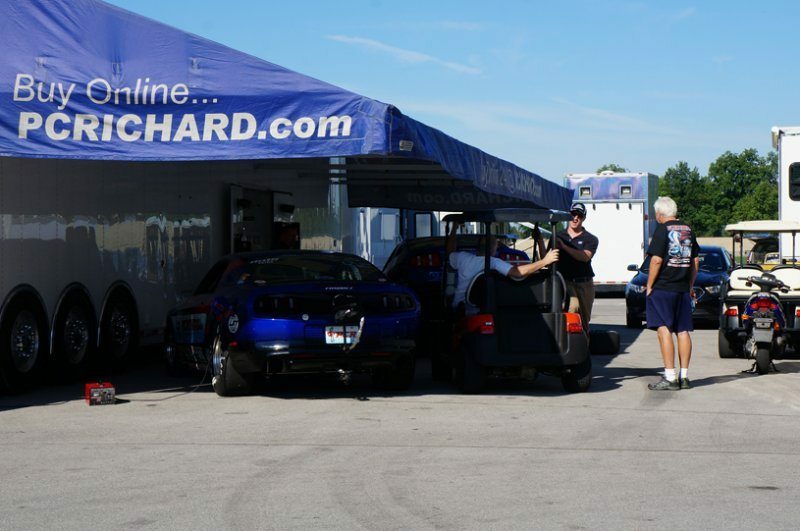 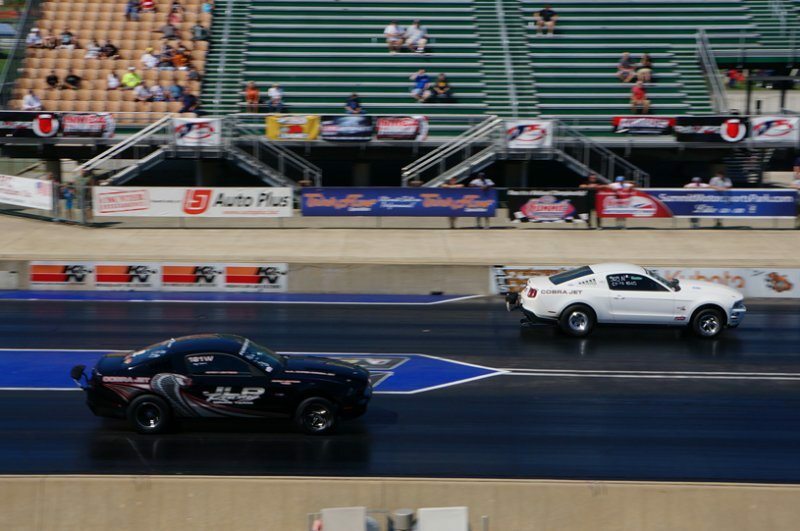 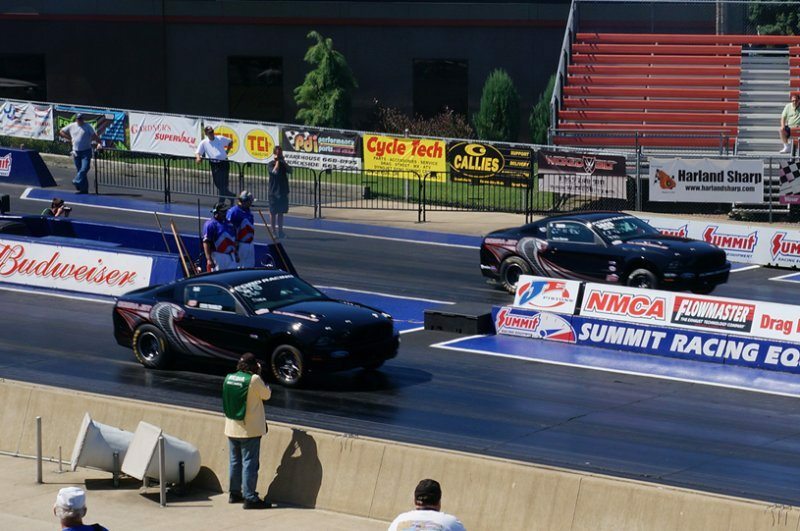 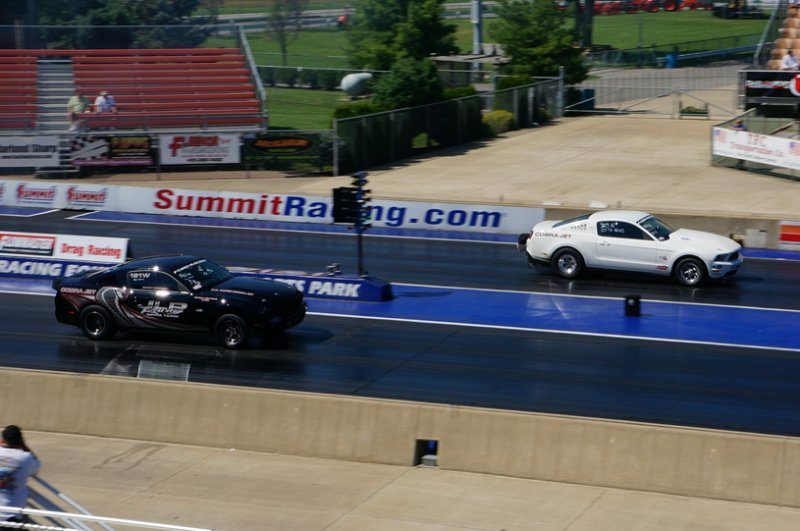 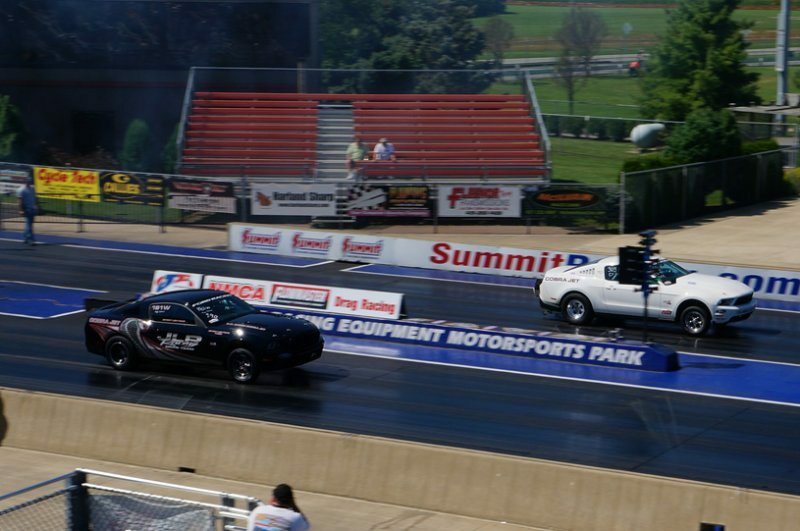 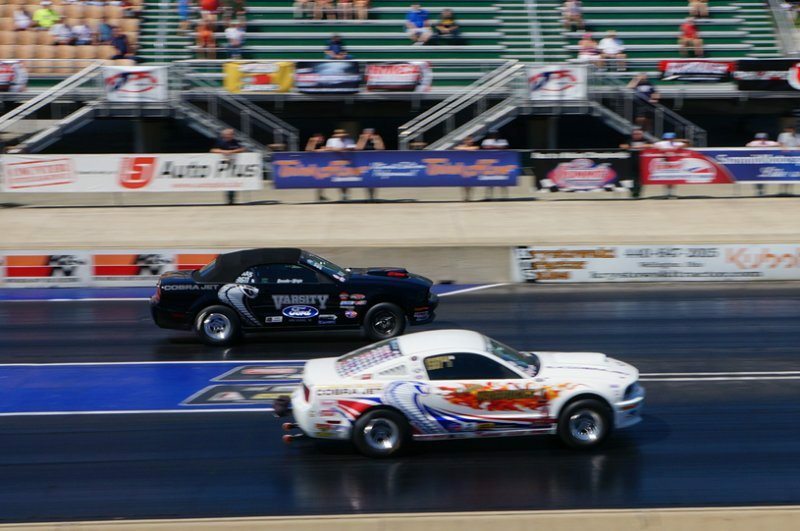 Come out and race with NMCA in classes from mild to wild…from index to heads-up! 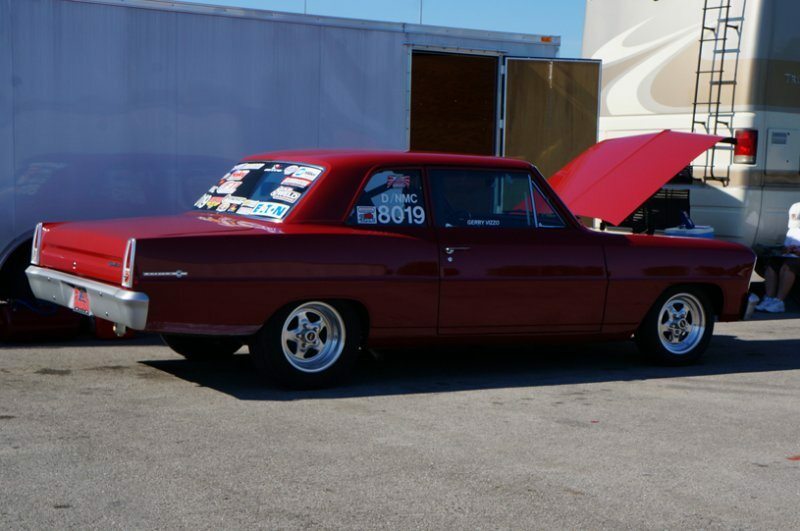 Got Wally? 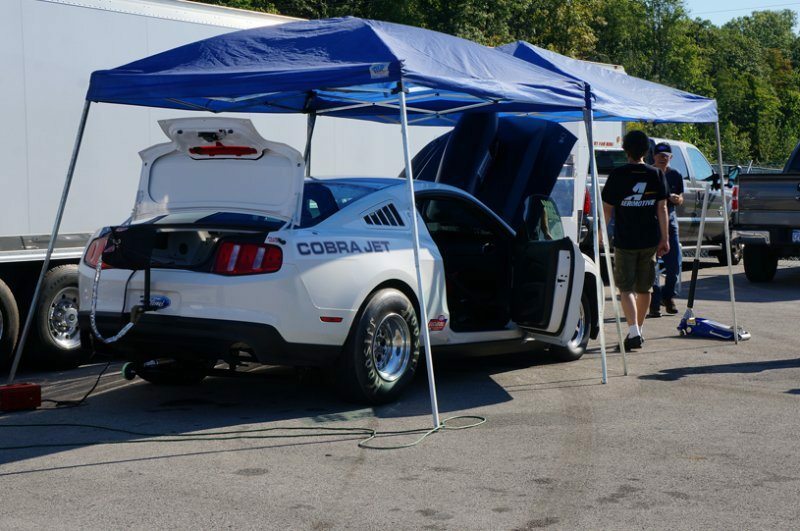 Get yours at this event by racing with NMCA! 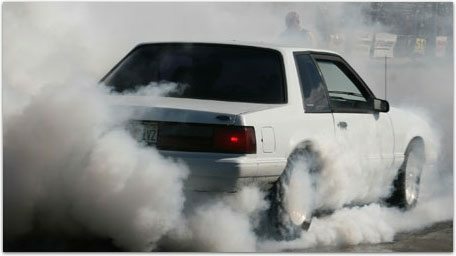 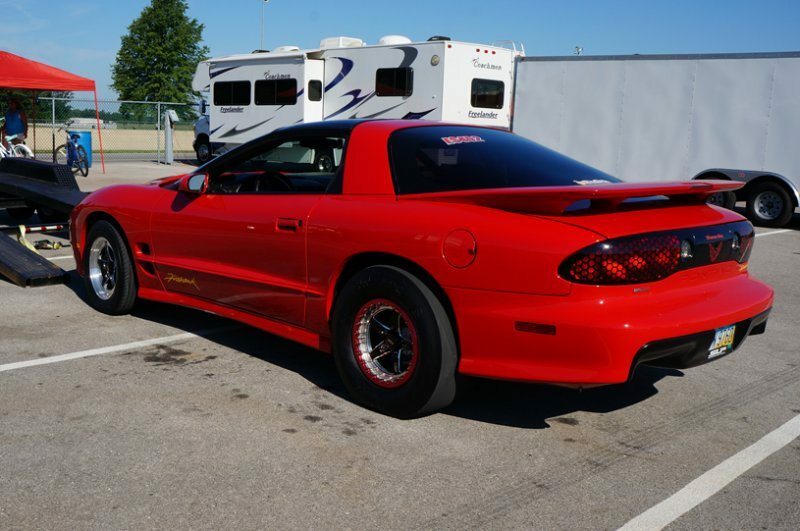 What about my show car? 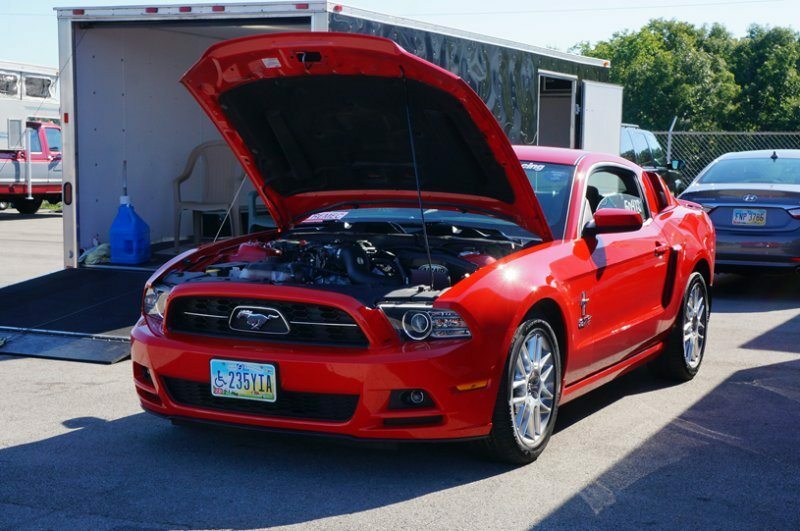 Flowmaster sponsors the awesome Car Show, where will be over fifty different awards presented to the Car Show participants, and everyone entering has a chance to take home one of those awards! 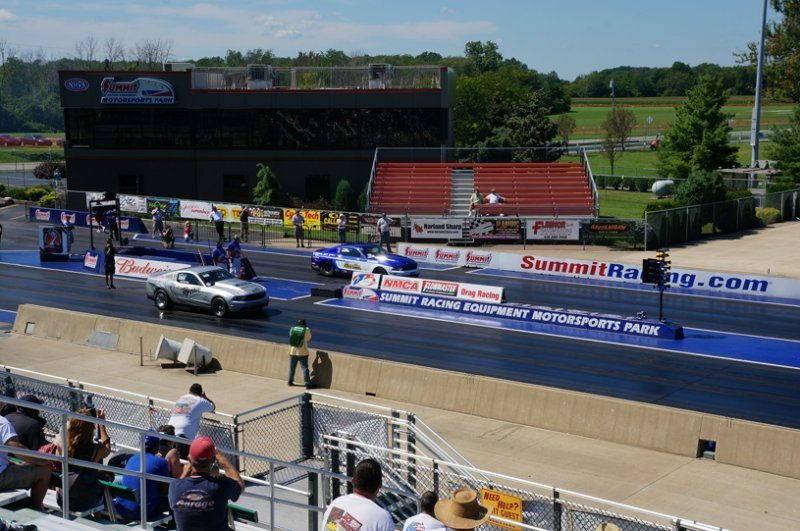 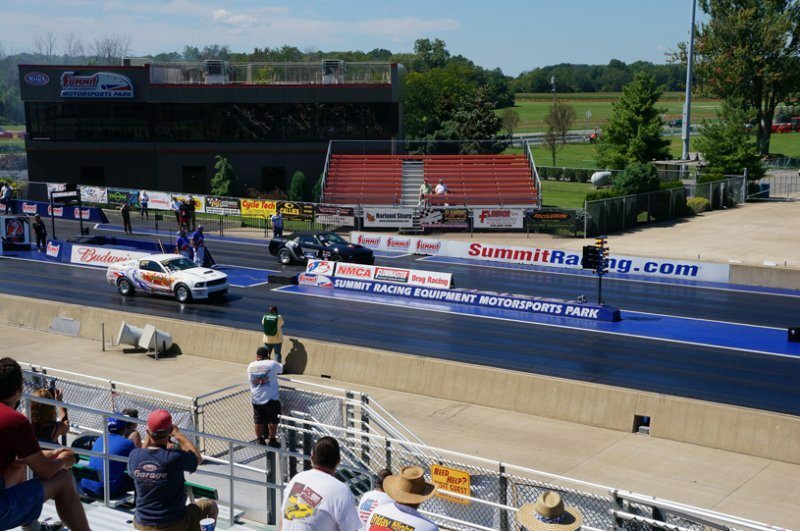 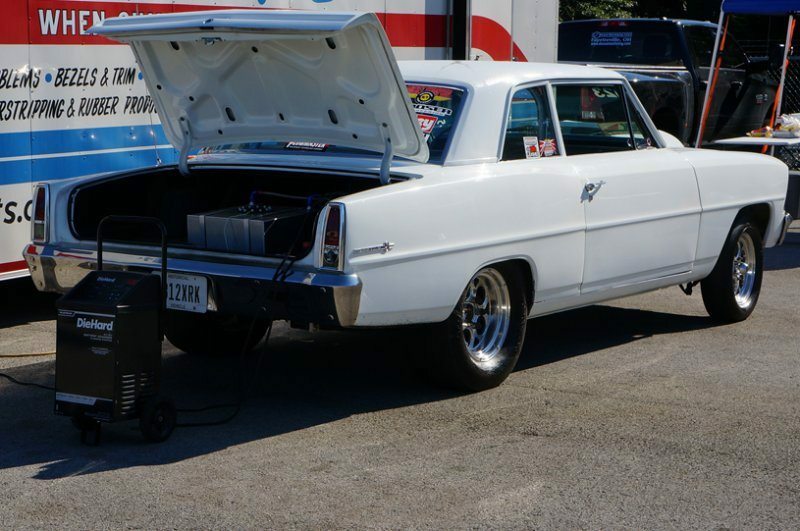 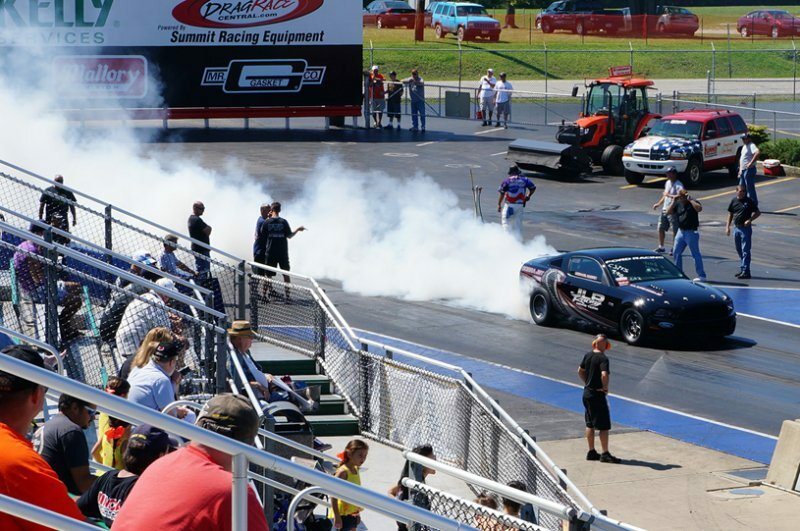 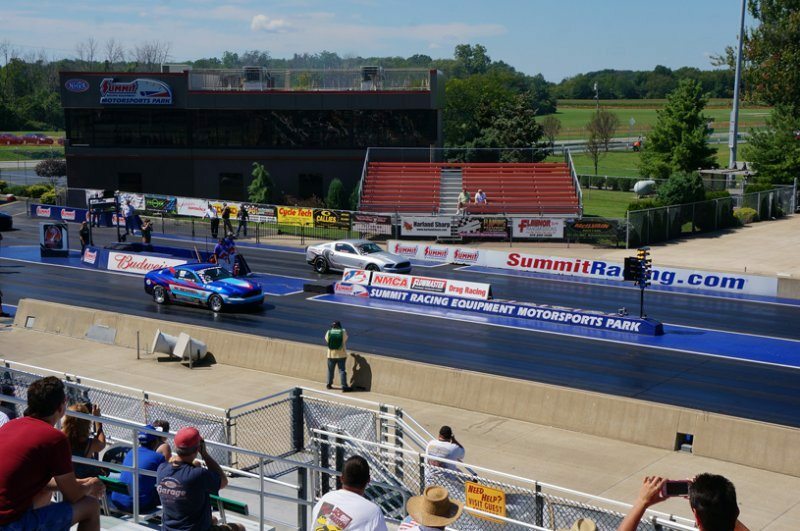 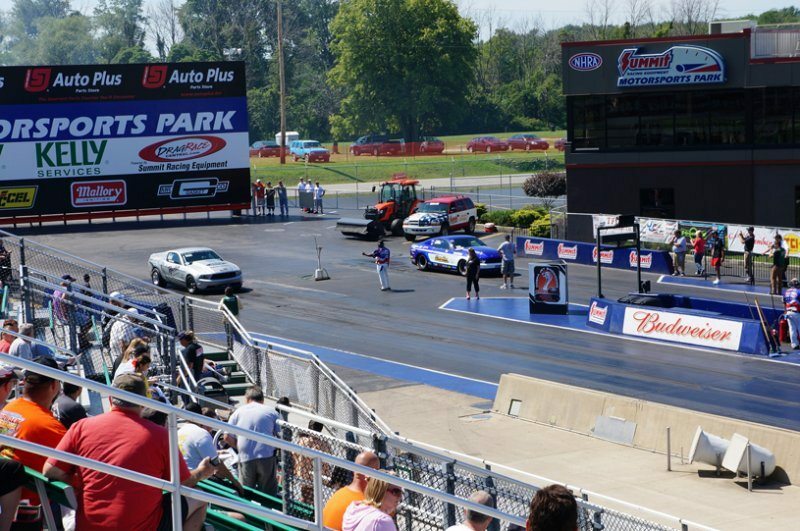 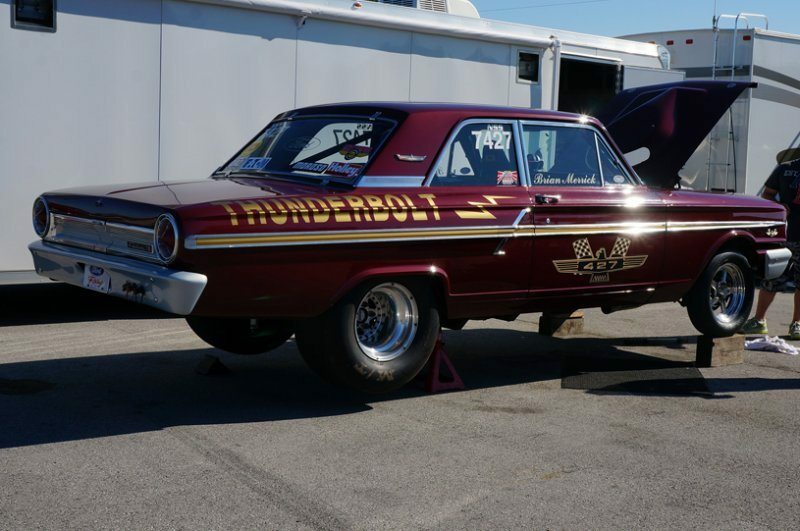 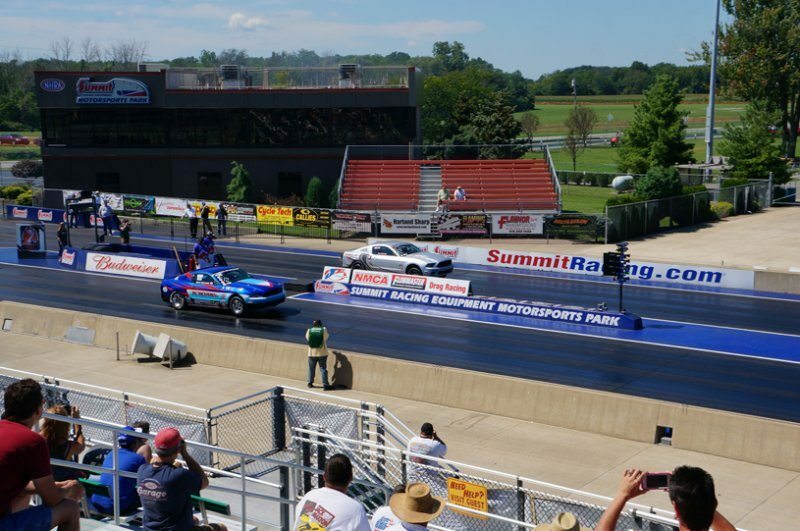 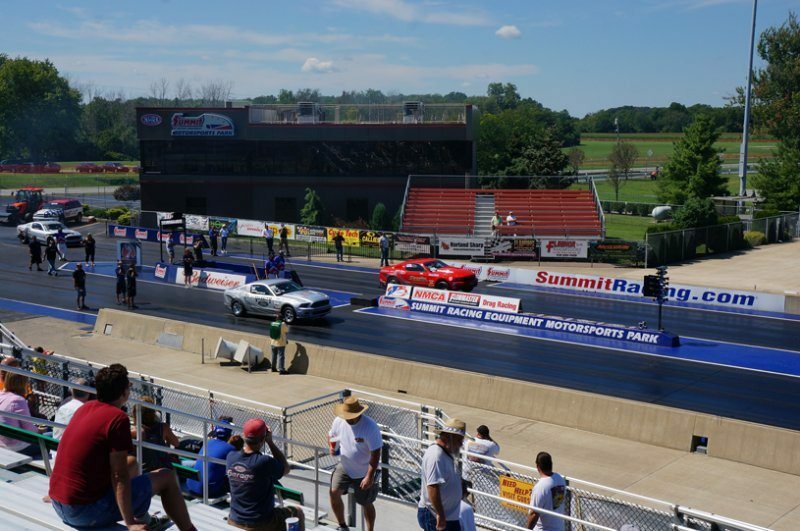 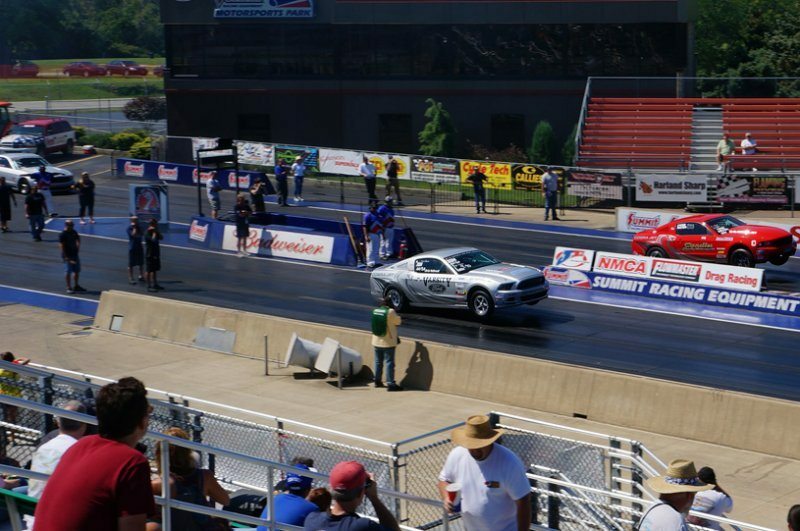 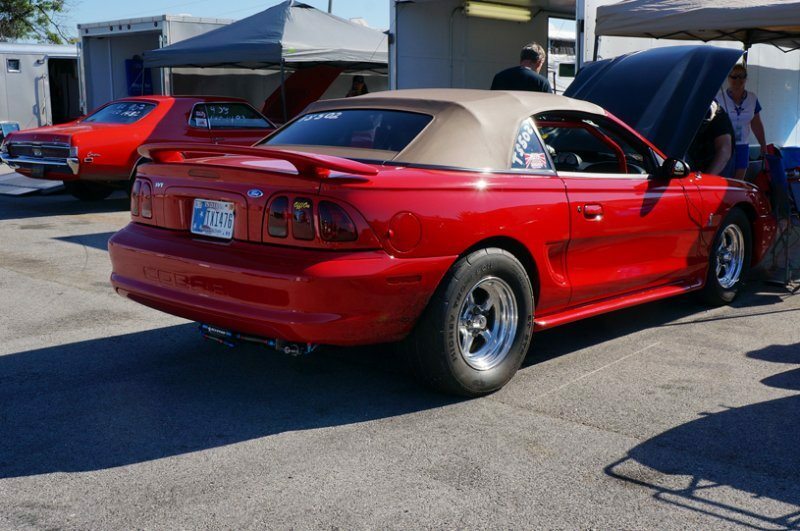 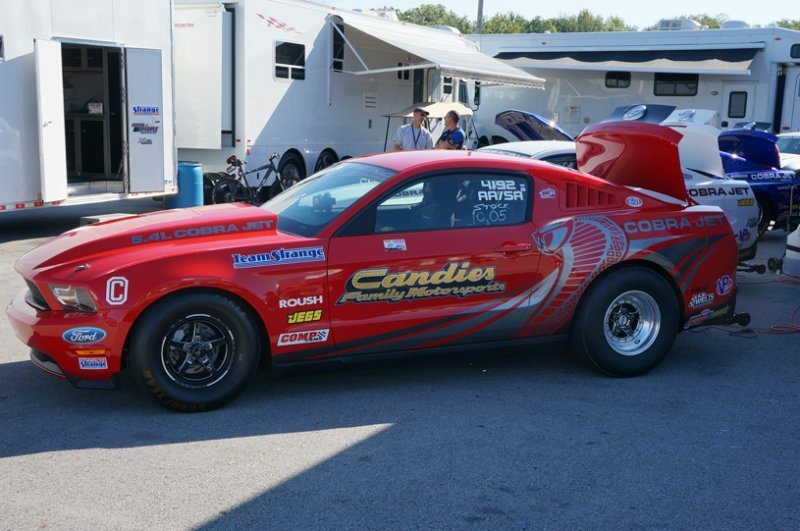 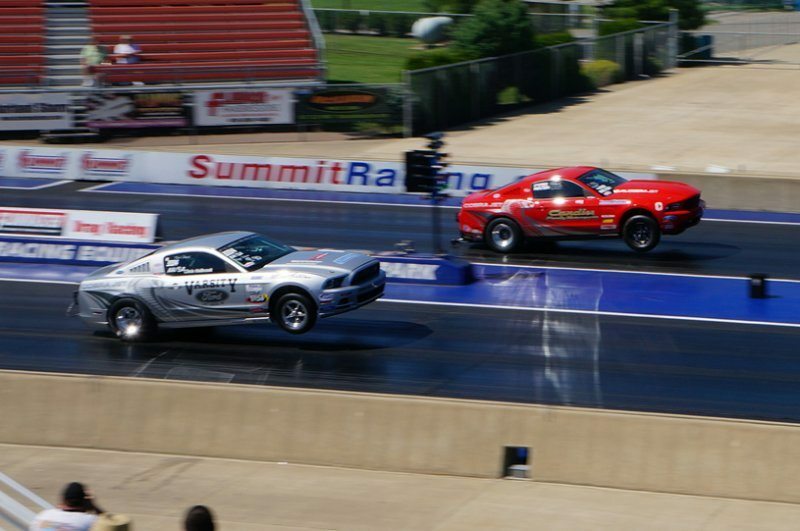 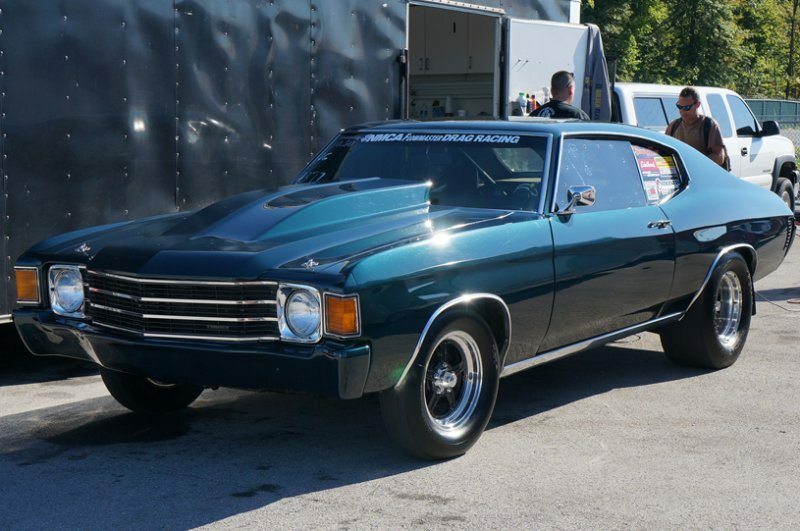 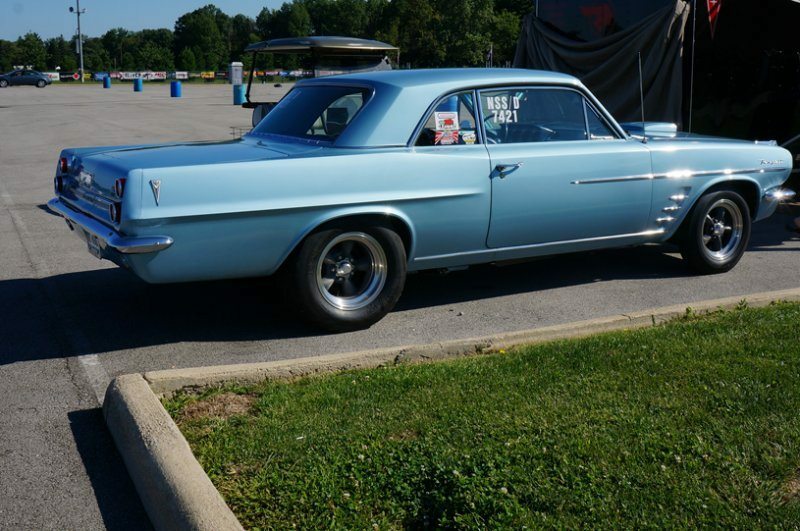 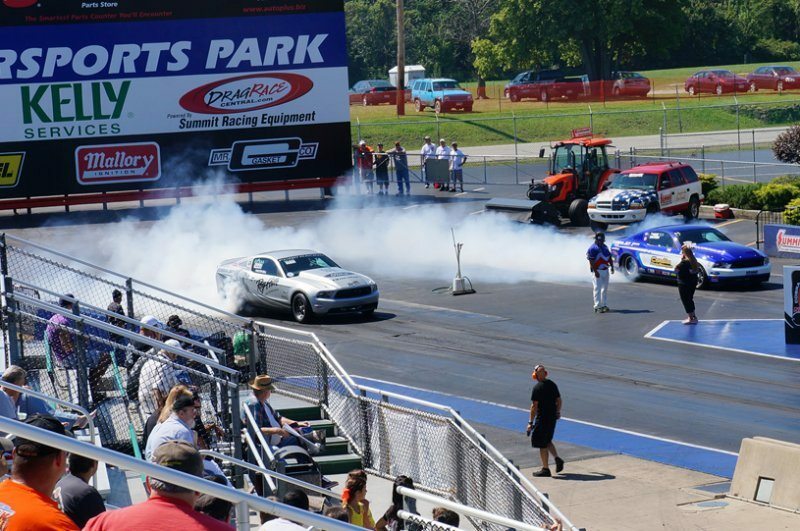 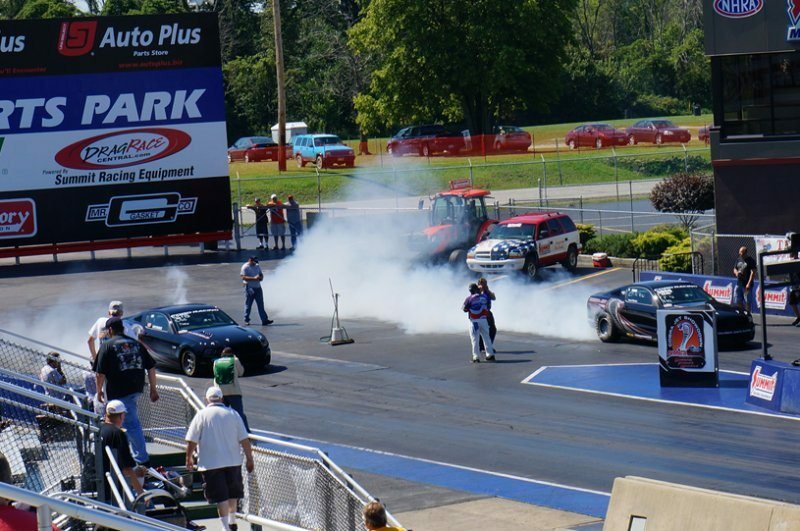 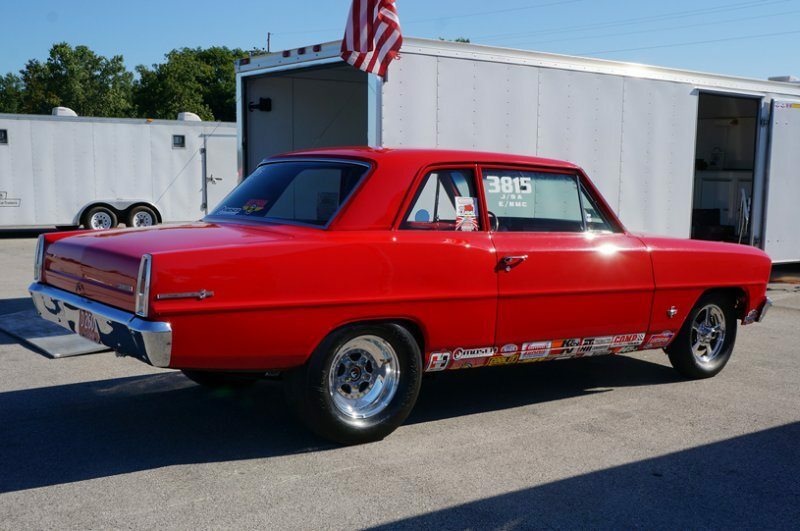 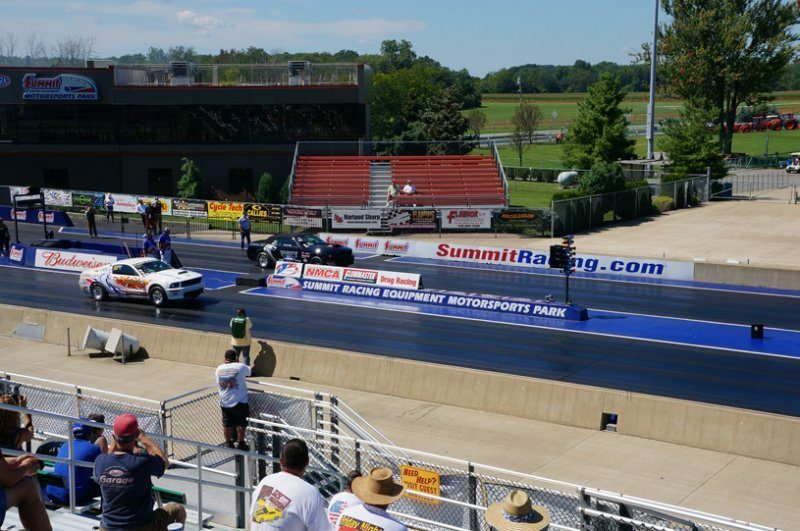 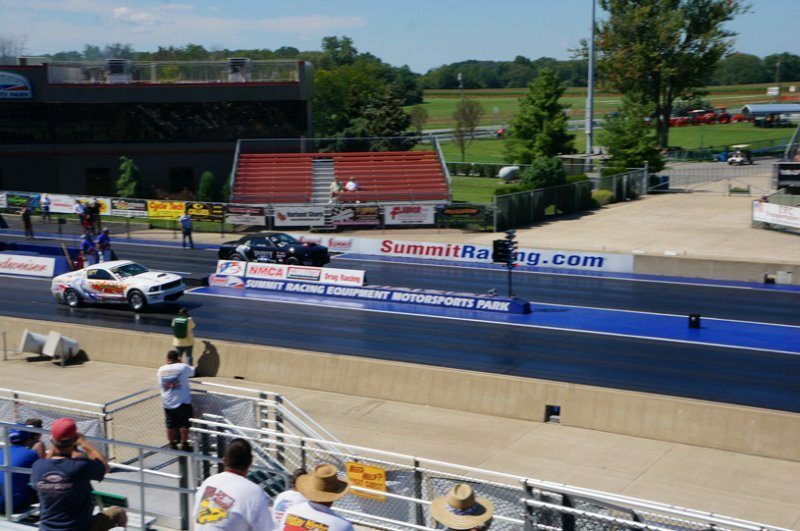 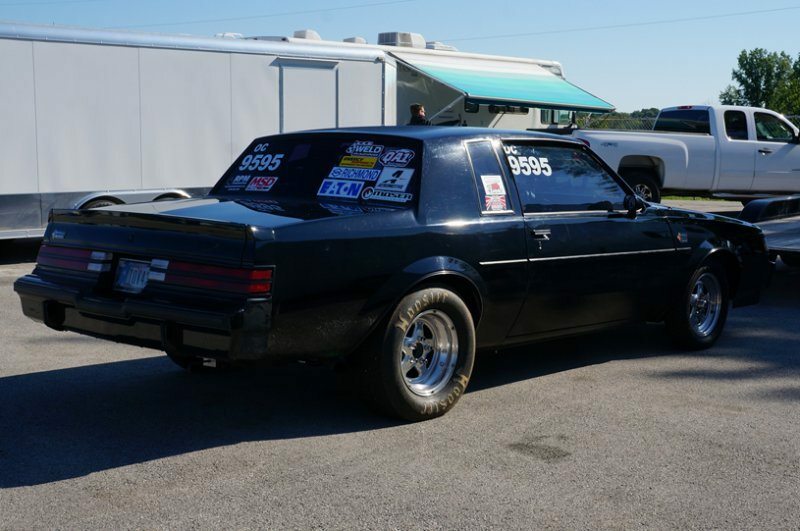 Shine your Muscle Car up, come on out to Summit Motorsports Park, and dance for the judges – you never know what that might get you! 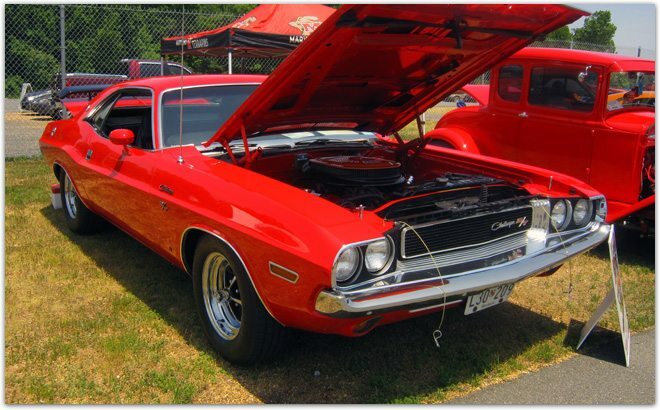 No matter what your flavor, there’s a place for you in the car show and a shot at the Best in Show award. 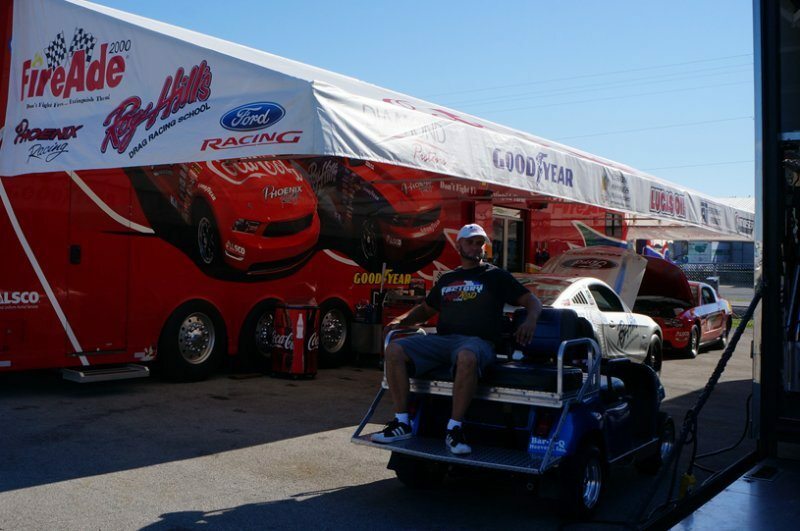 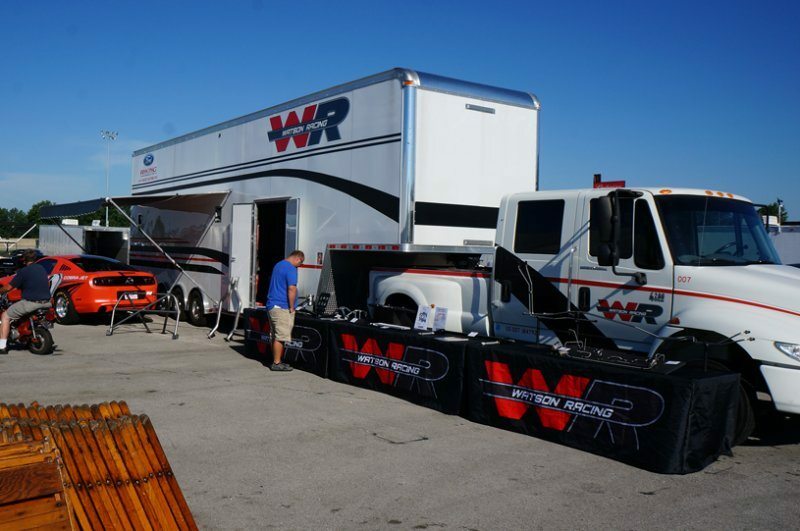 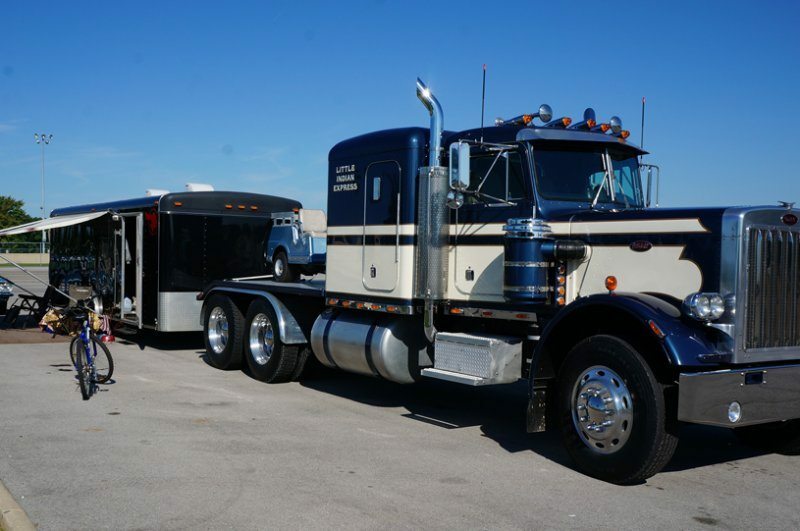 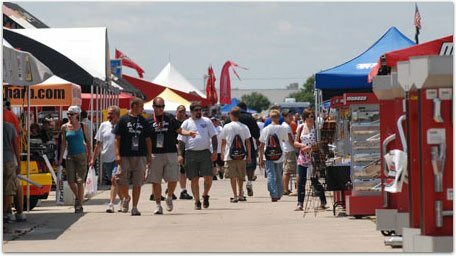 Each NMCA event also features a large Manufacturer’s Midway where you can see and purchase parts from the hottest aftermarket manufacturers, and experts from many of the major manufacturers will be on hand to answer your questions about how to make your Ford car or truck perform to your expectations. 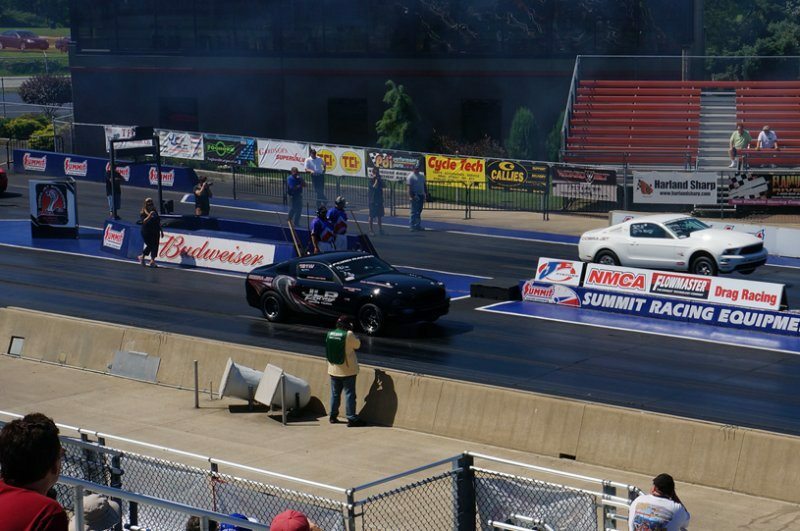 There’s something for everyone at the NMCA – make your plans to attend now! 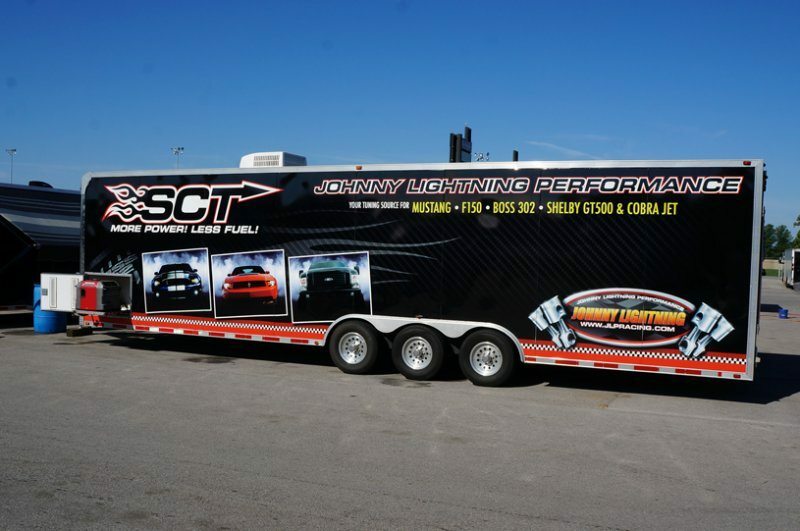 Looking to buy parts for your car or truck? 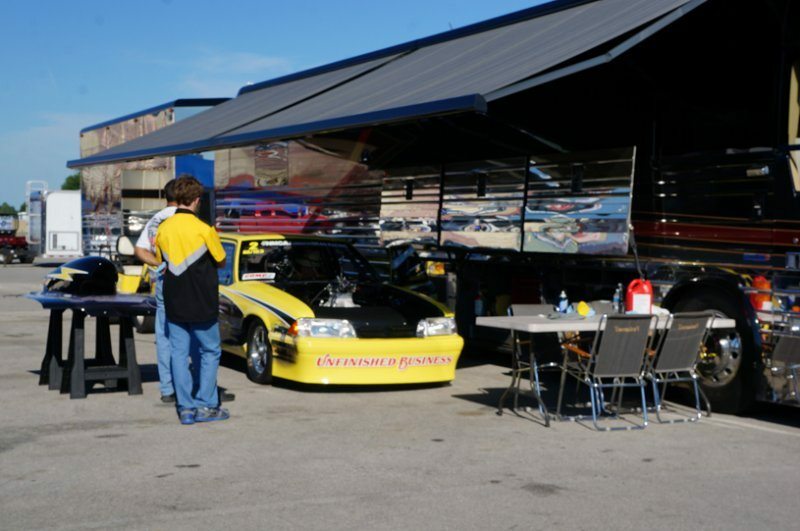 Want a chance to meet face-to-face with experts from your favorite performance companies? 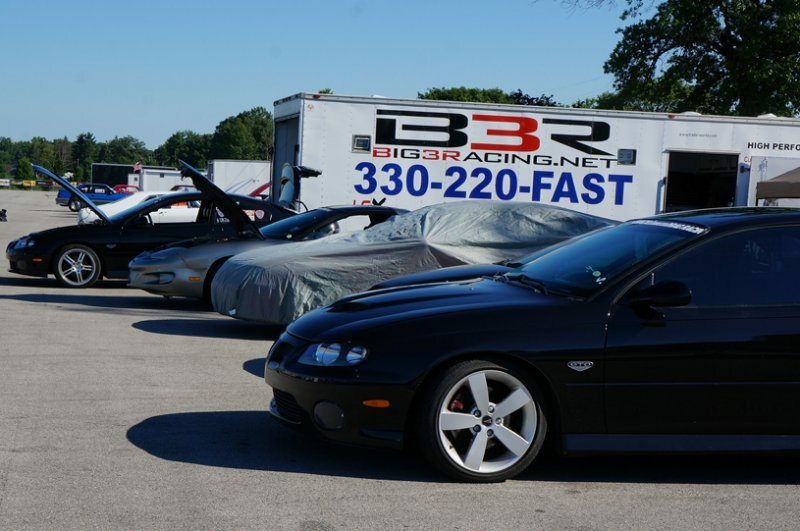 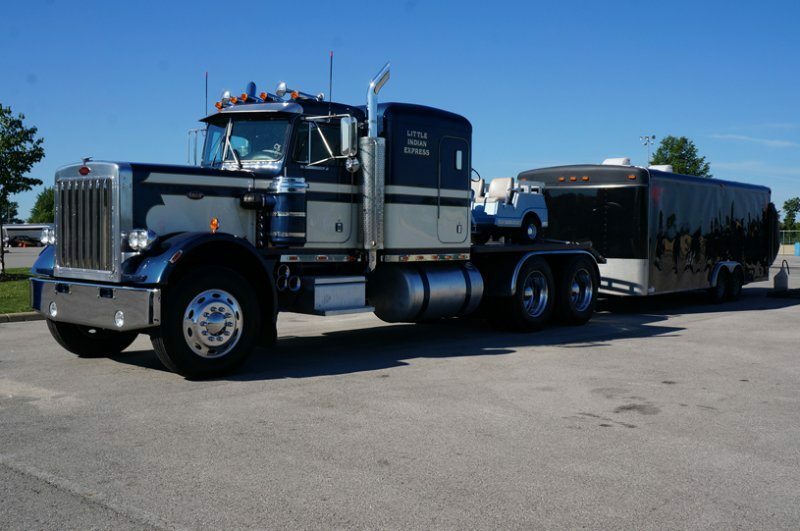 This event will feature an awesome manufacturers’ midway where you can find great deals on the performance parts you need for your muscle car or hot rod. 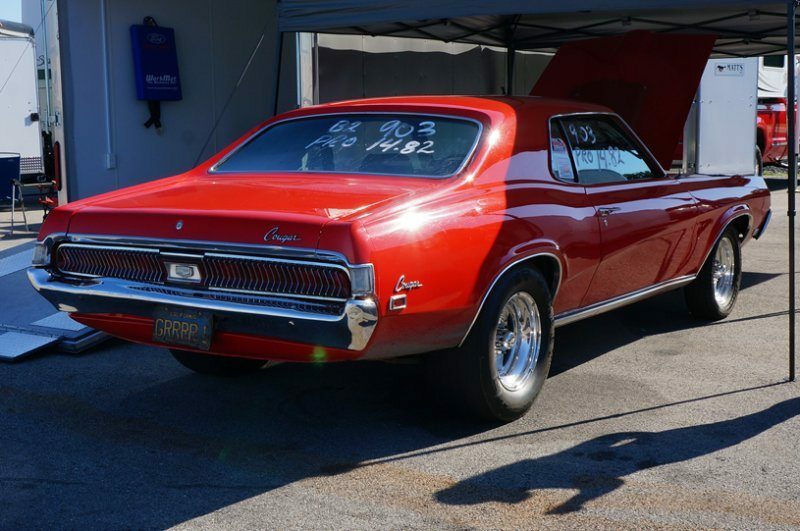 If you’re looking for that hard to find part or a great bargain, be sure to check out the swap meet.